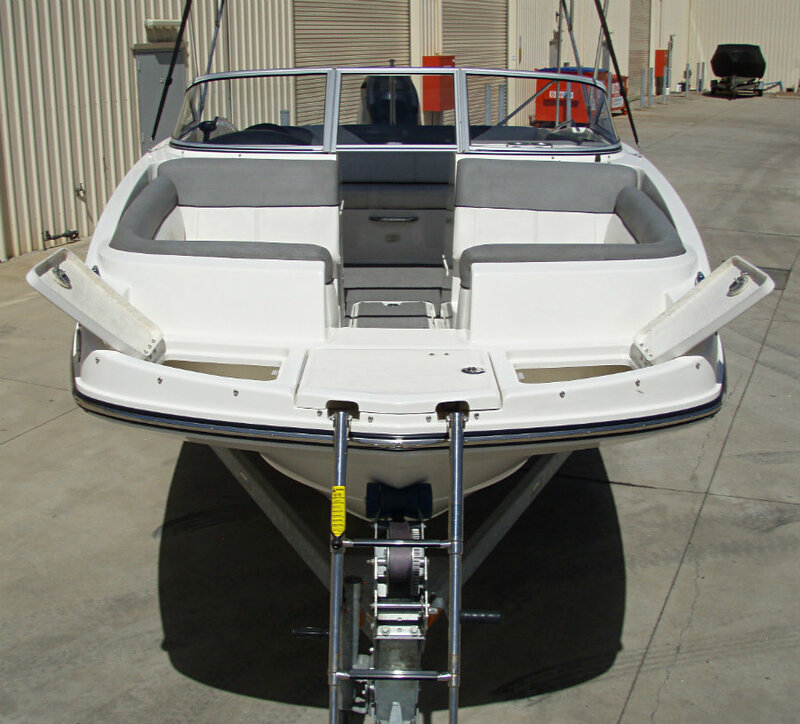 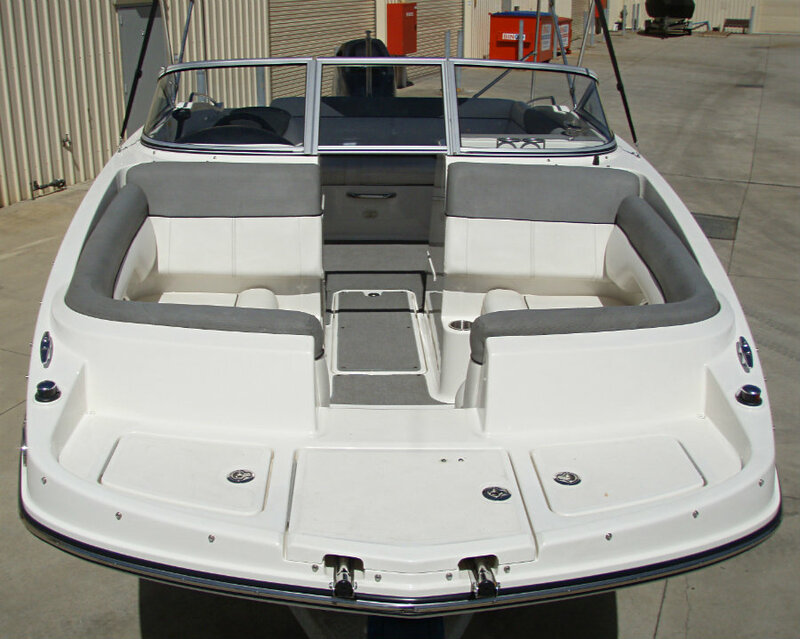 2015 Bayliner 190 Deck Boat powered by a 115hp 2.1L 4-cyl EFI Mercury 4-Stroke outboard engine and with only 25 hours of FRESHWATER use. 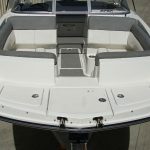 Bayliner has built a strong reputation for creating usable and affordable family style boats for generations and the Bayliner 190 Deck Boat is no exception. 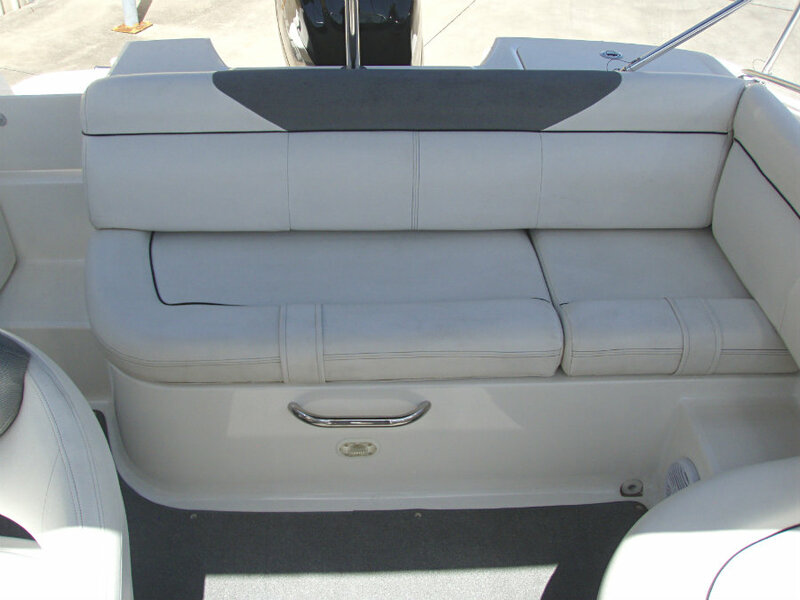 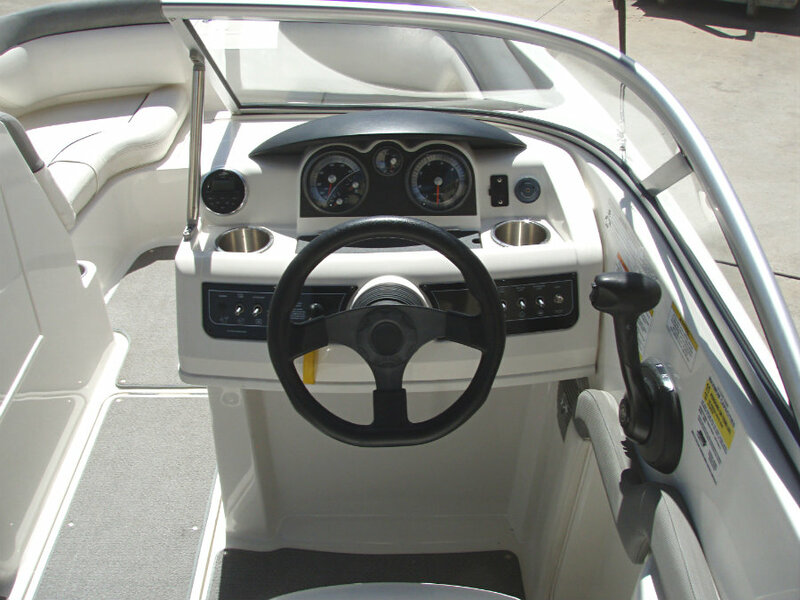 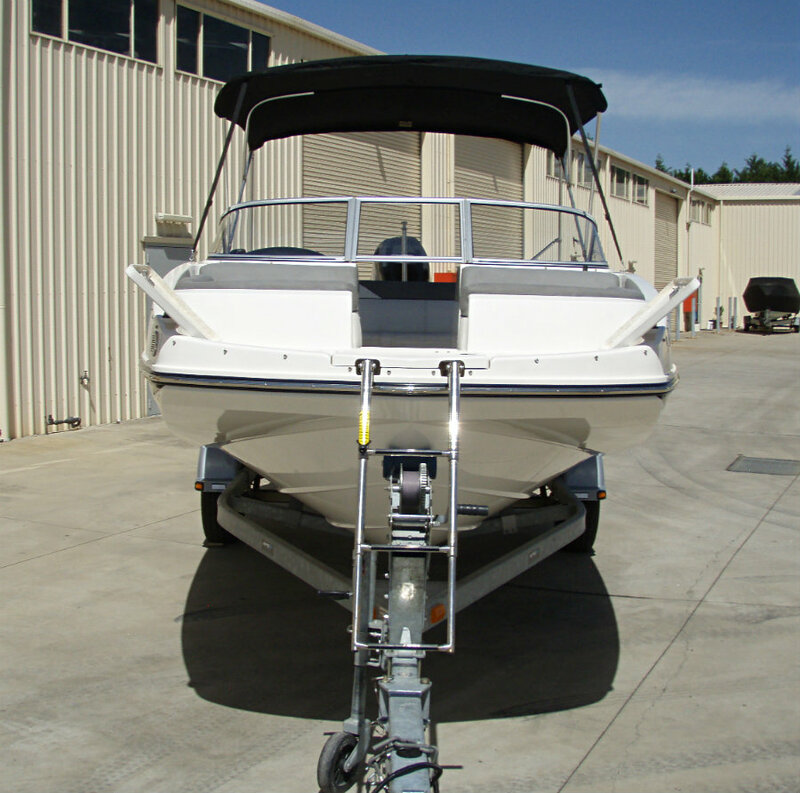 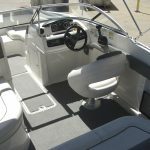 It has appeal for families and is capable, like many Bayliner boats, of accommodating multiple tasks while out on the water. 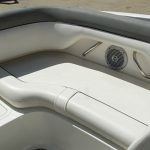 There’s no doubt that Bayliner has hit the mark with this deck boat concept. 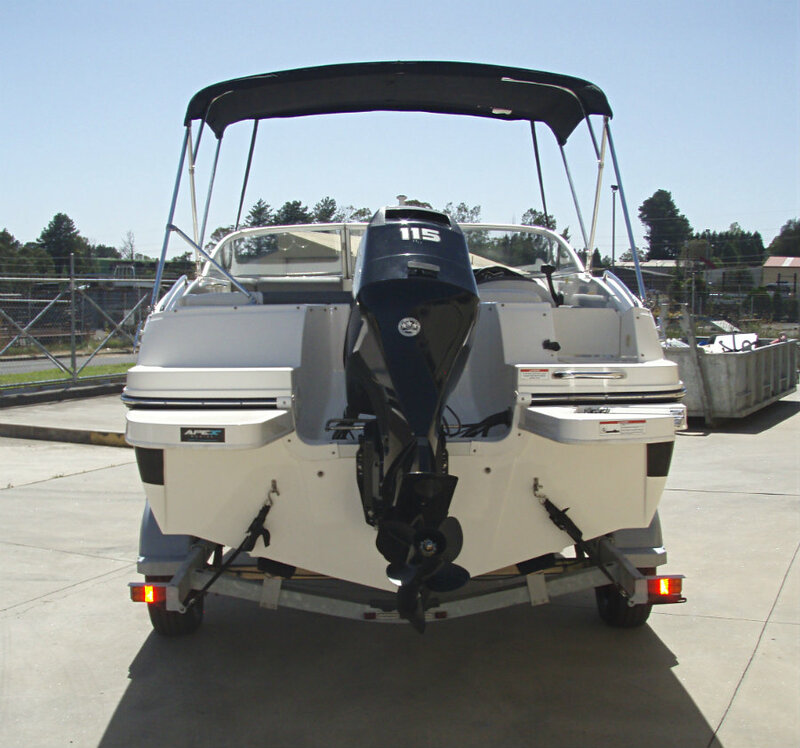 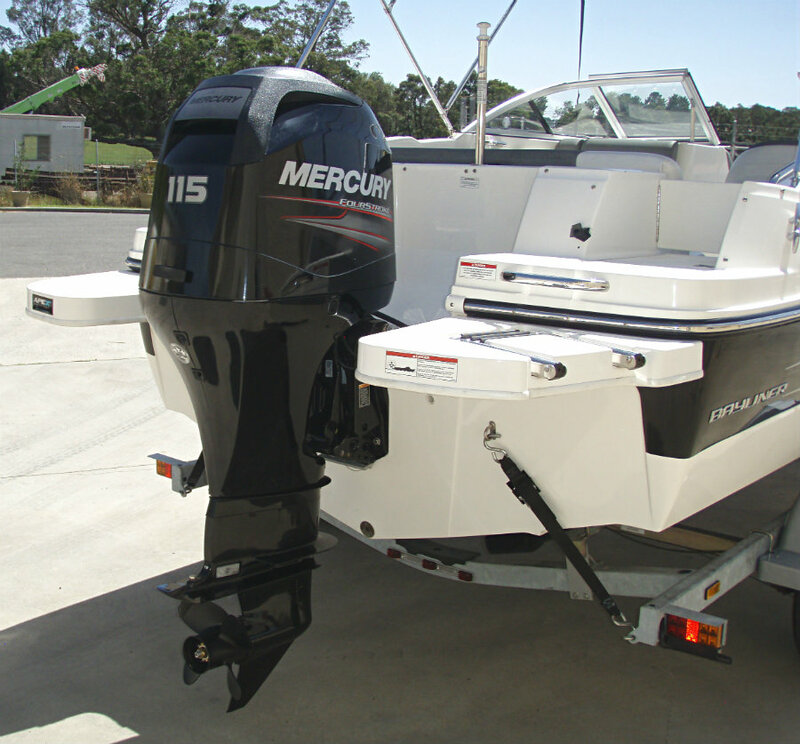 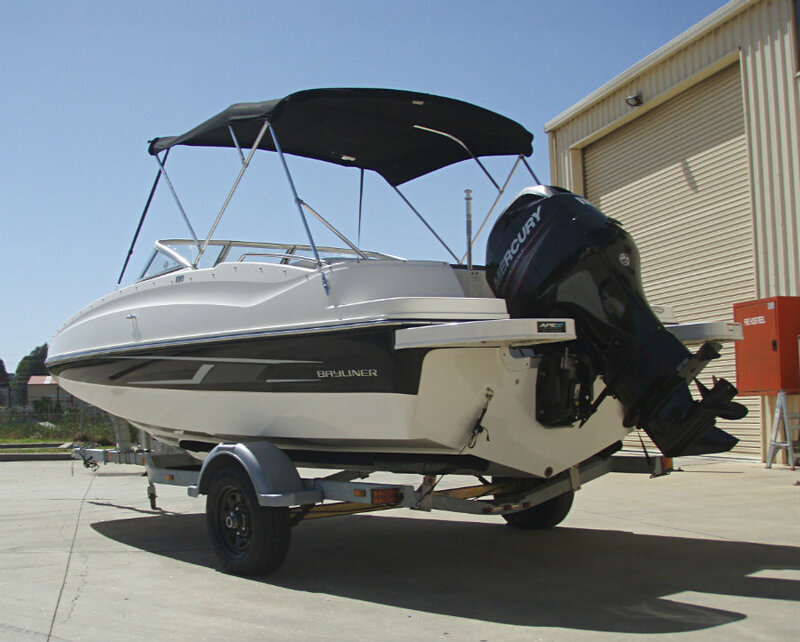 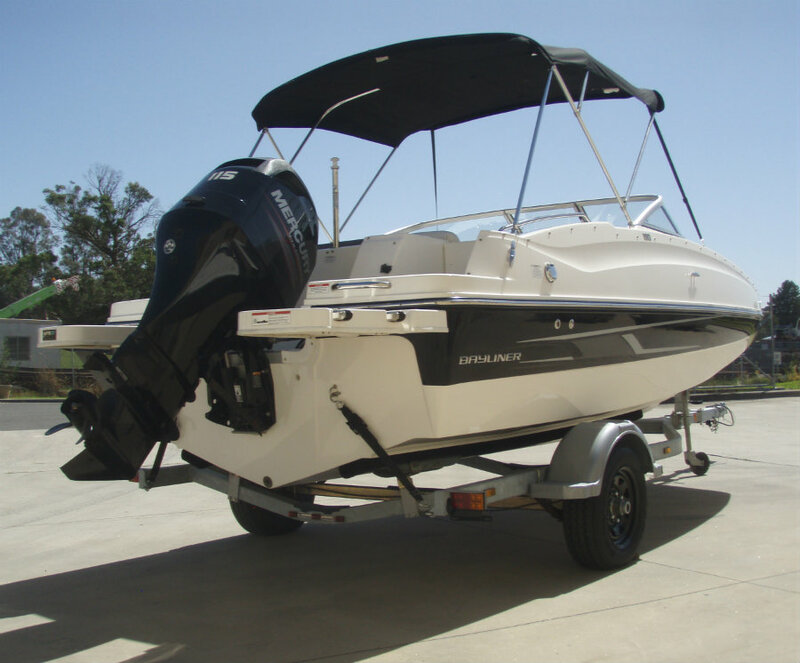 It is ideal for families who may be upgrading from a smaller vessel and are looking for more space while maintaining performance. 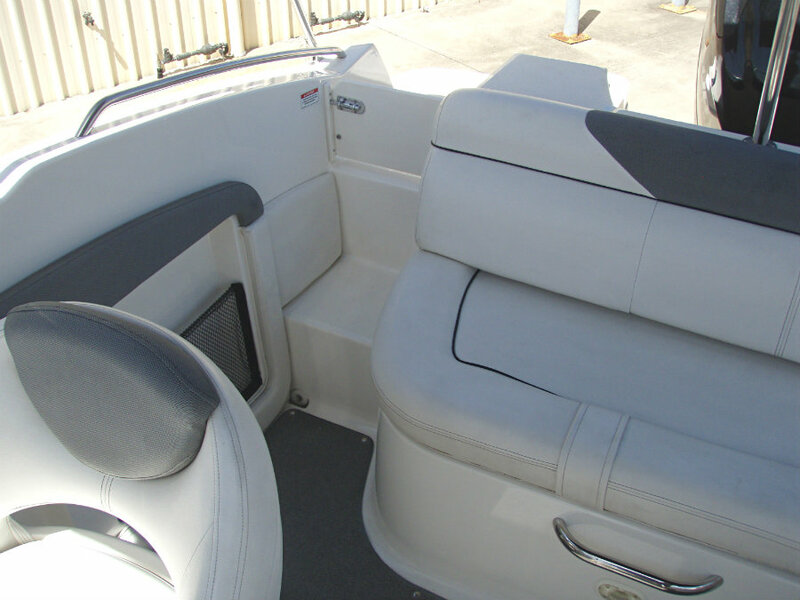 The Bayliner 190 Deck Boat is perfect for the inland boating conditions we enjoy on the east coast, but it has a hull that is capable enough to run on more testing waterways such as open harbours and estuaries. 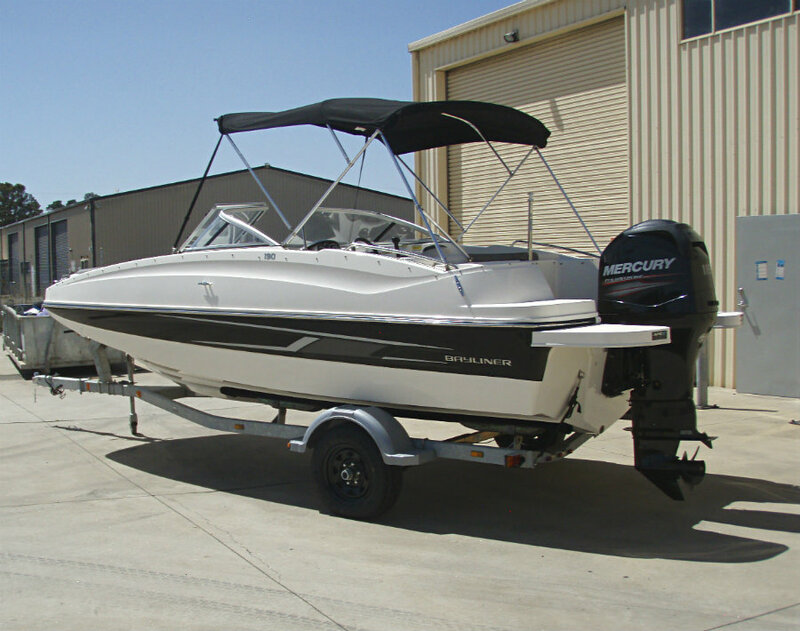 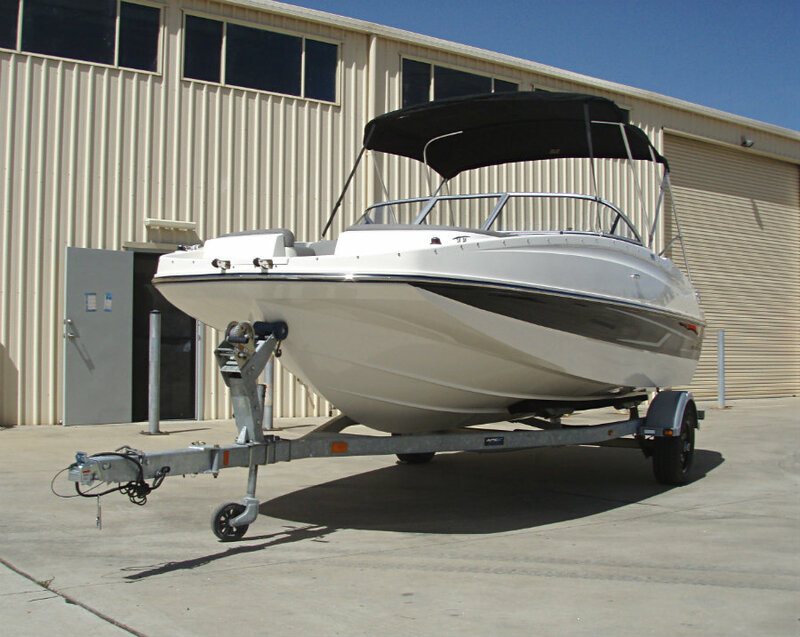 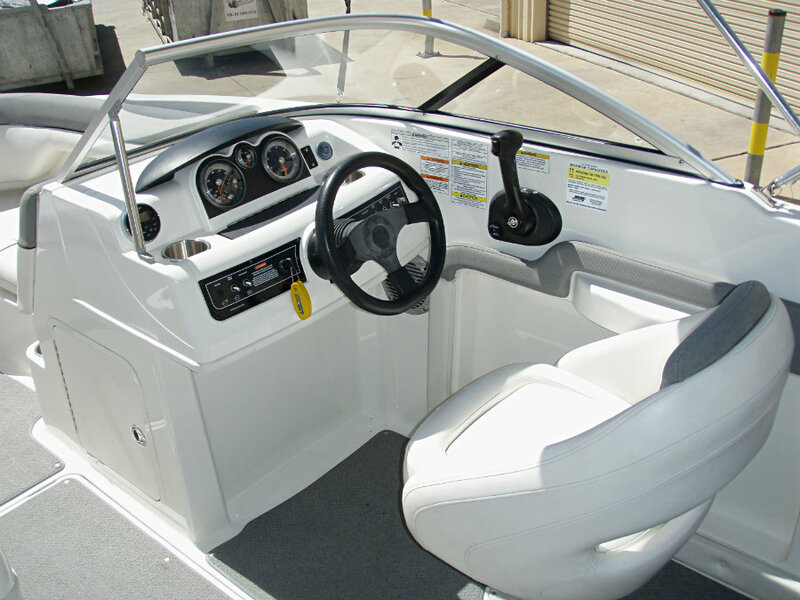 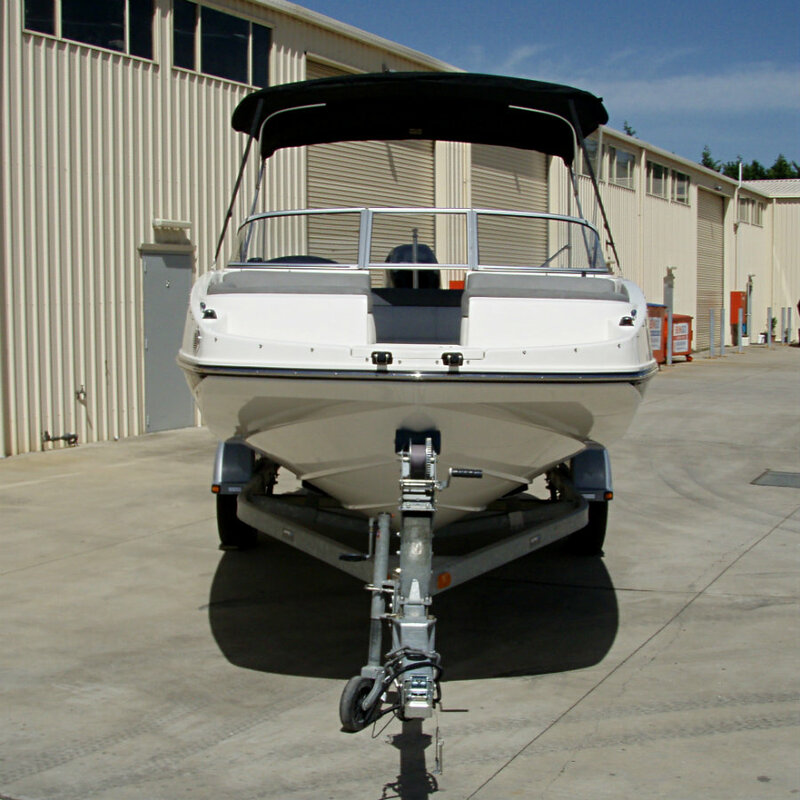 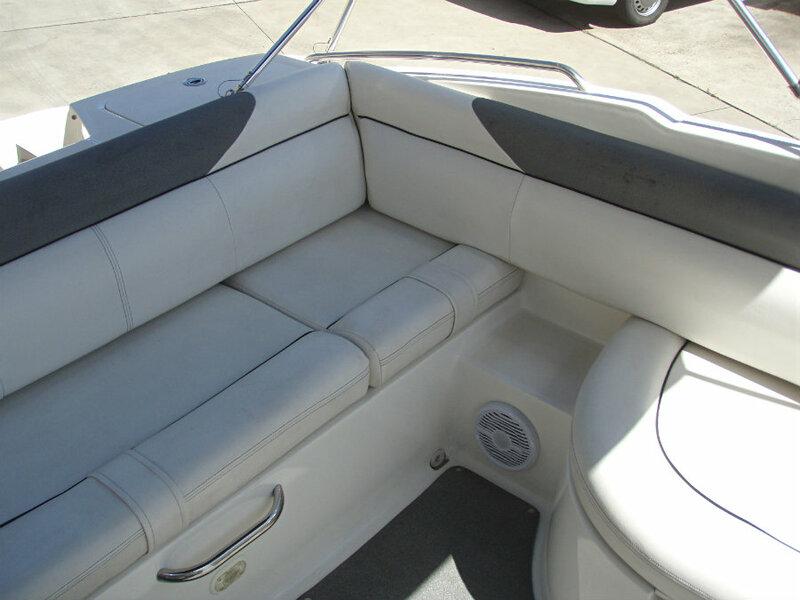 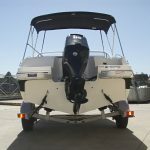 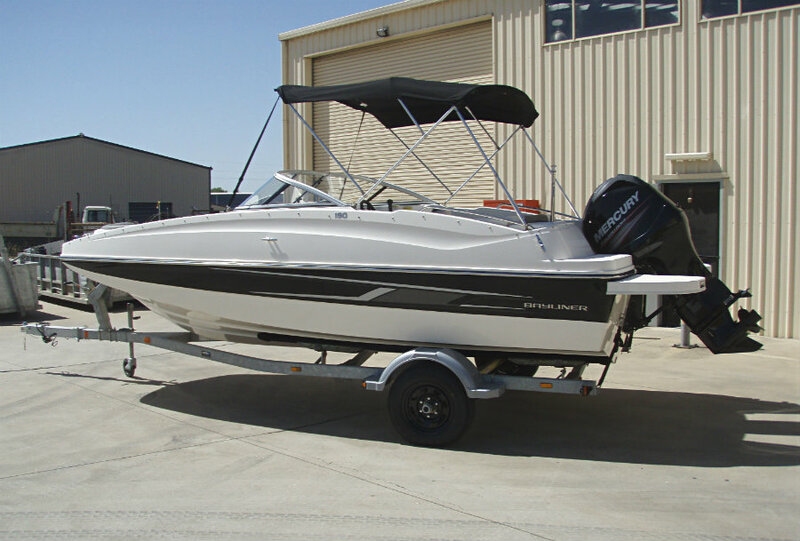 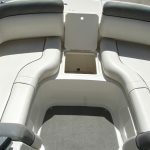 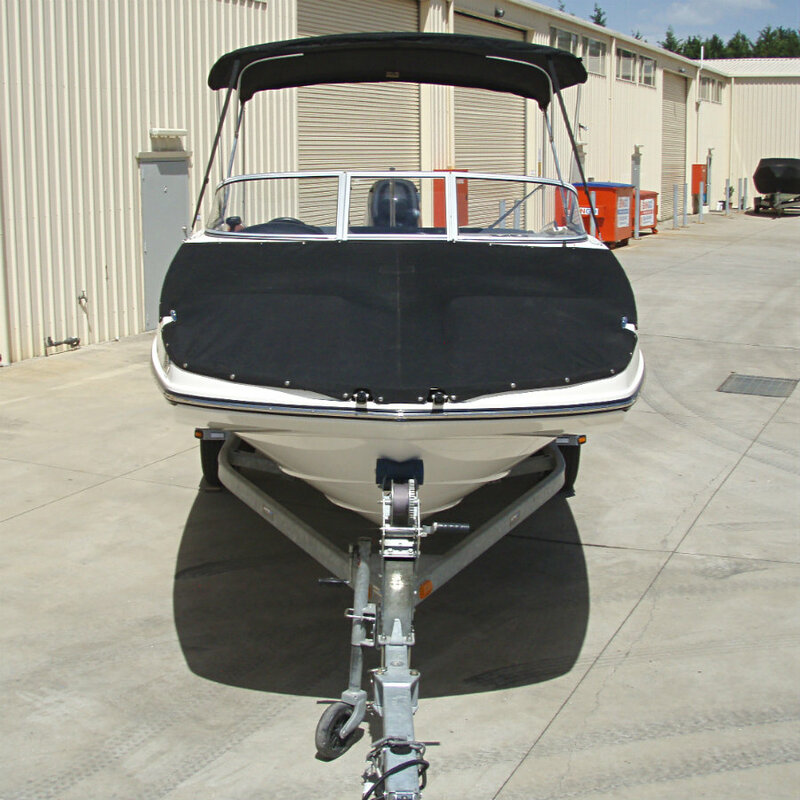 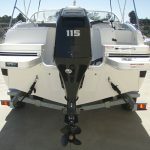 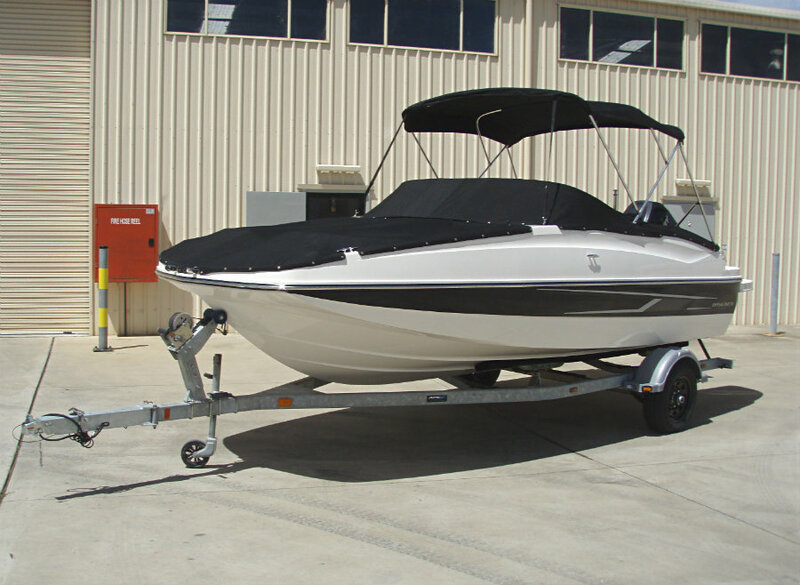 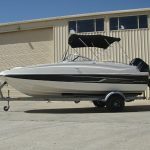 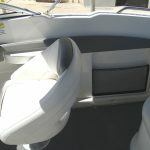 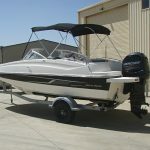 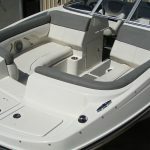 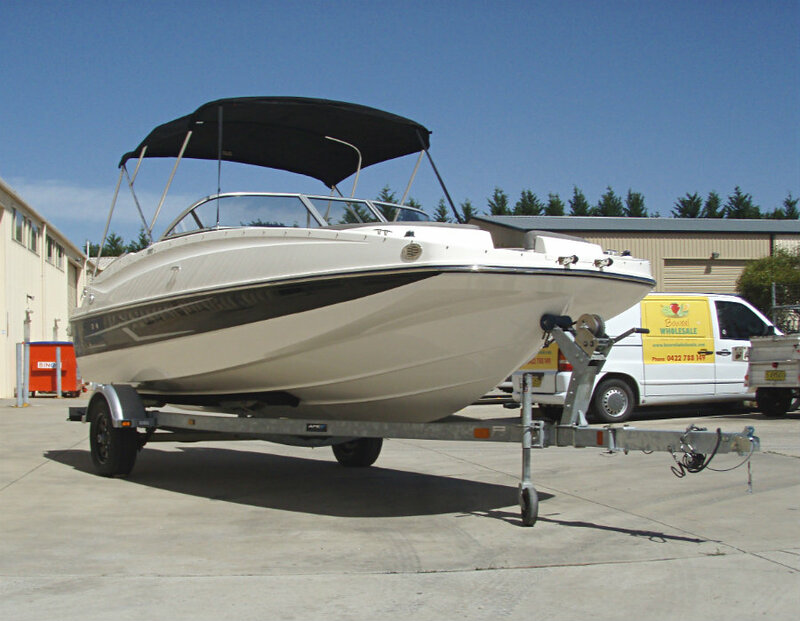 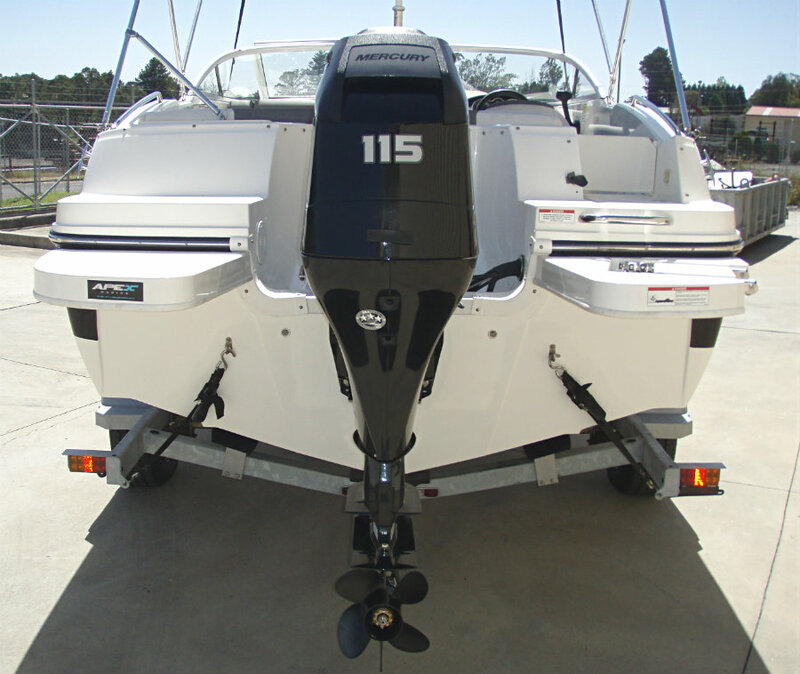 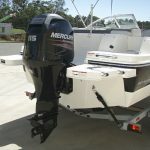 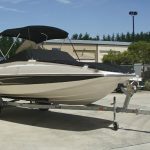 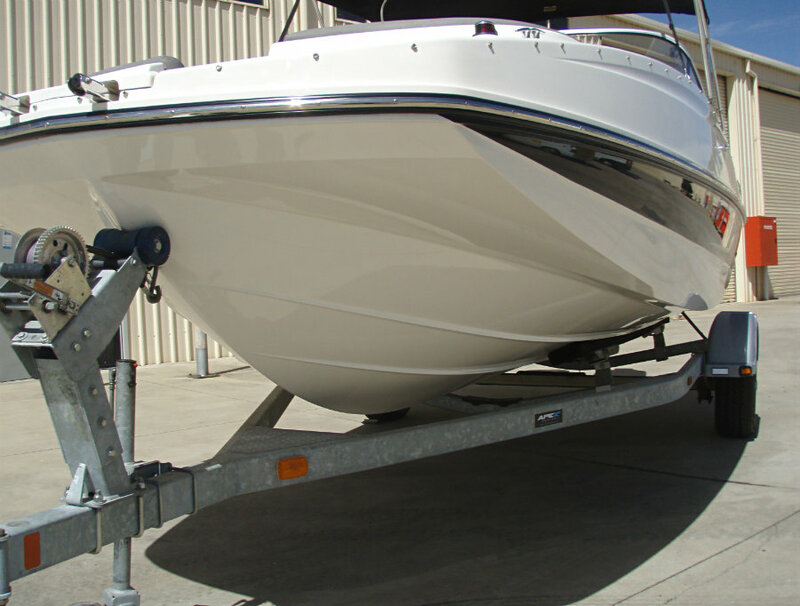 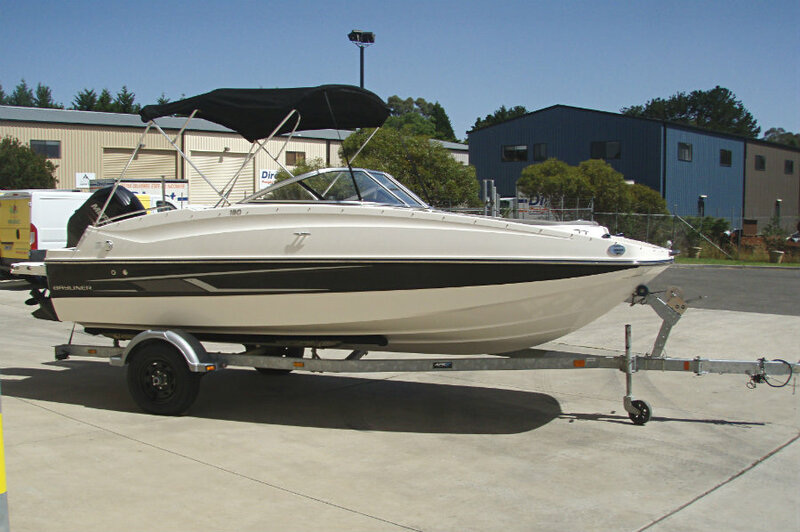 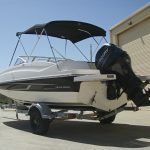 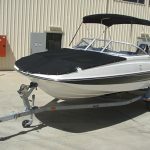 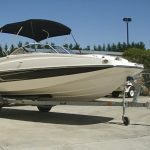 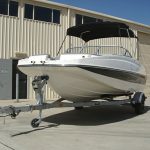 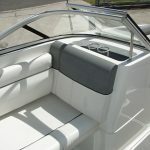 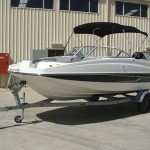 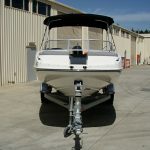 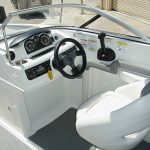 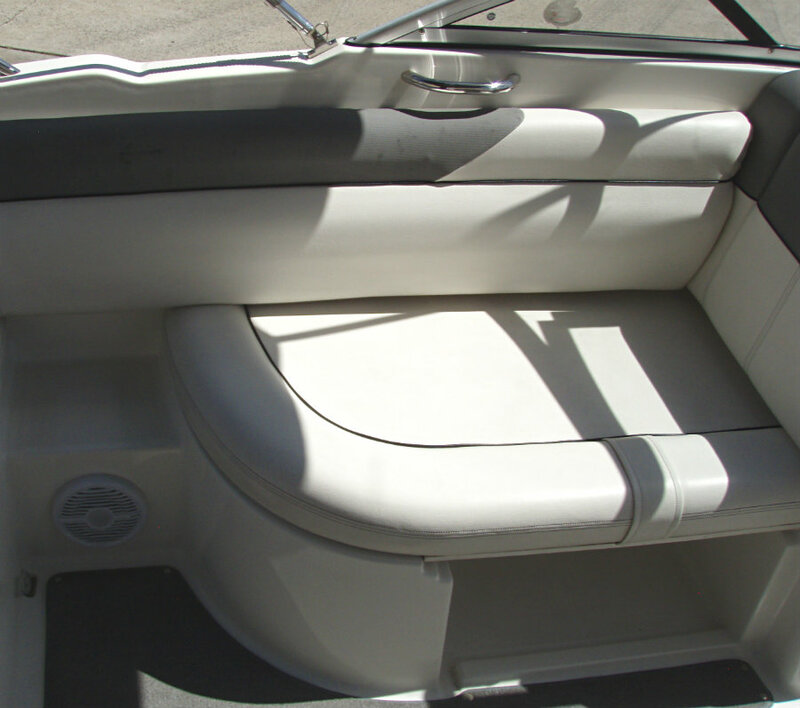 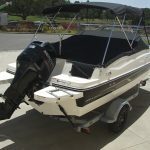 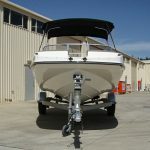 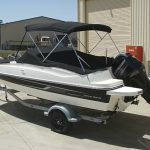 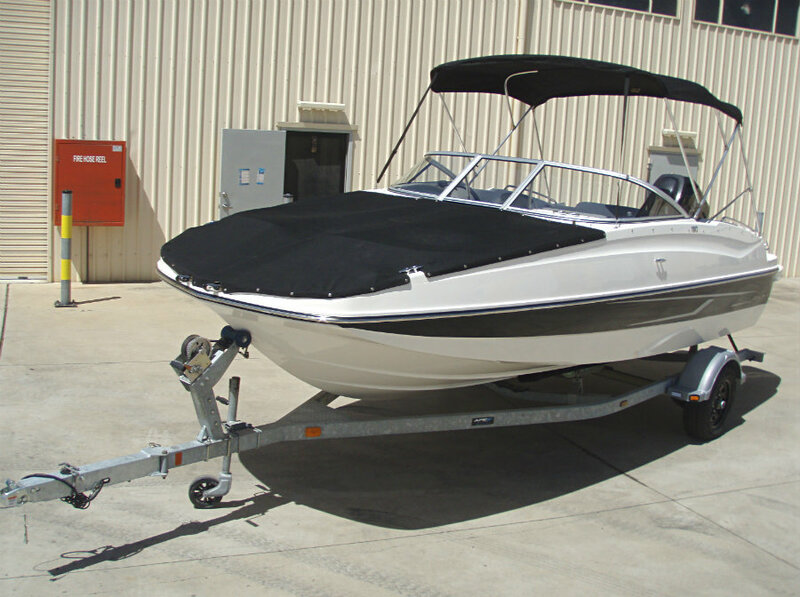 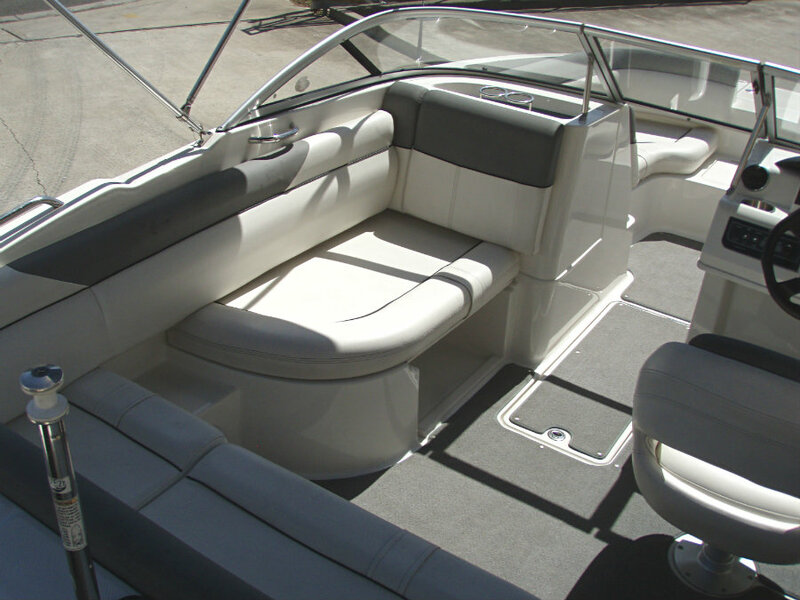 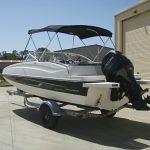 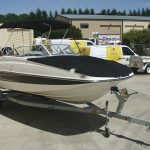 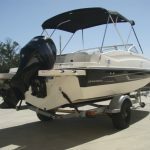 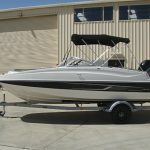 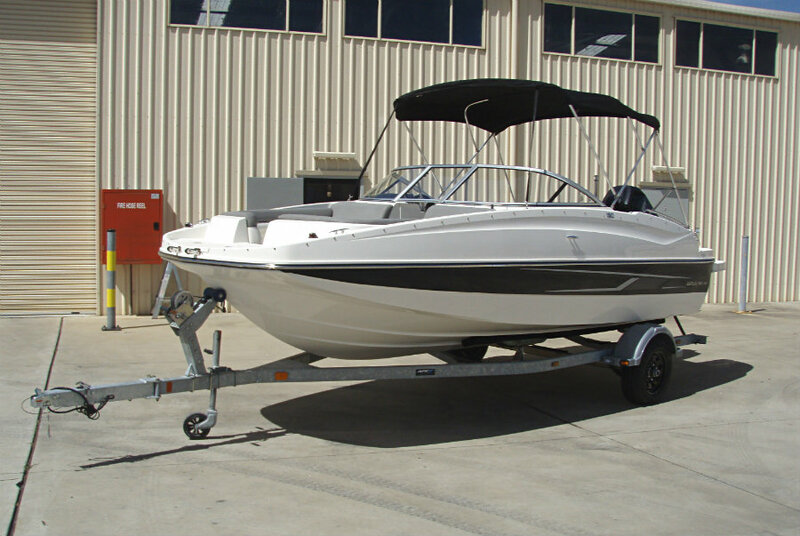 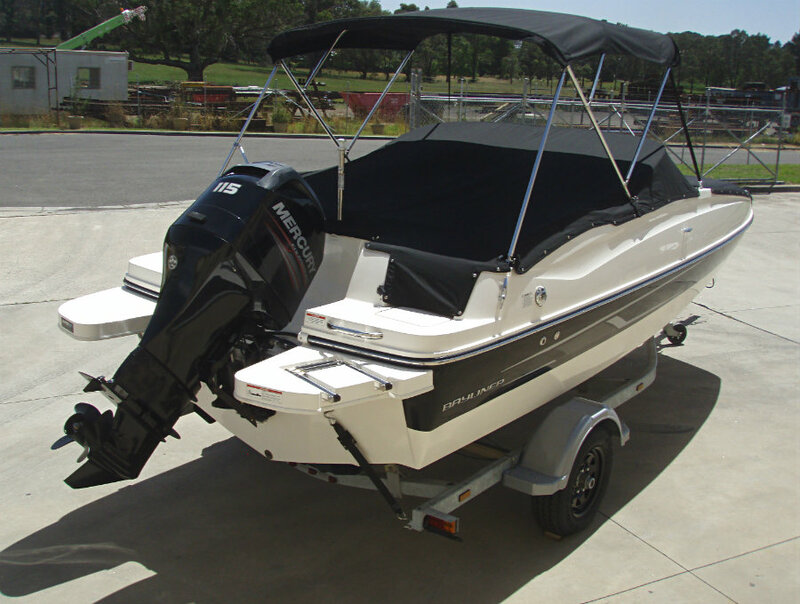 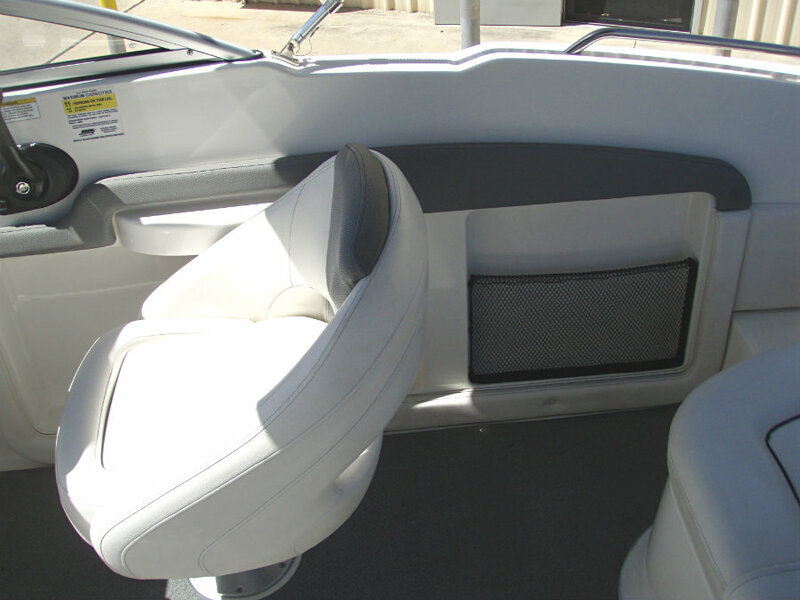 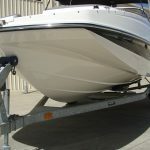 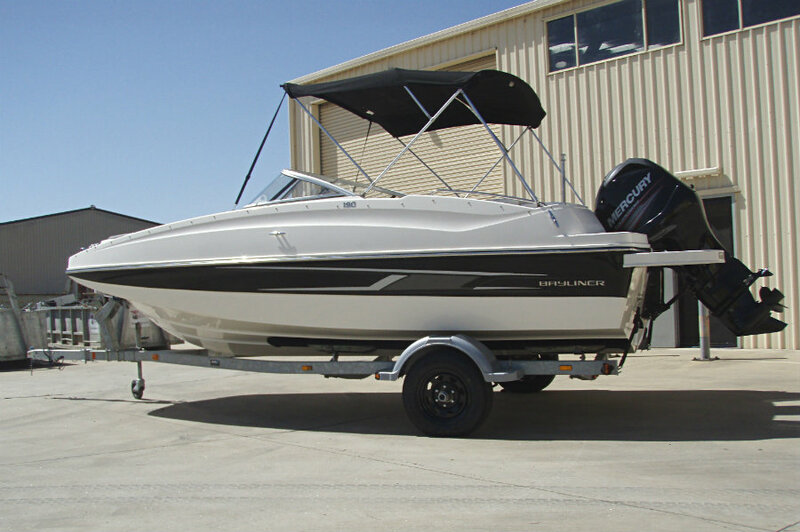 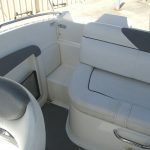 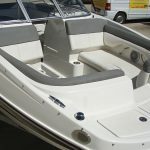 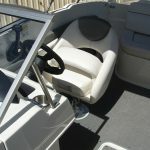 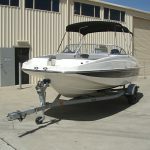 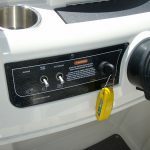 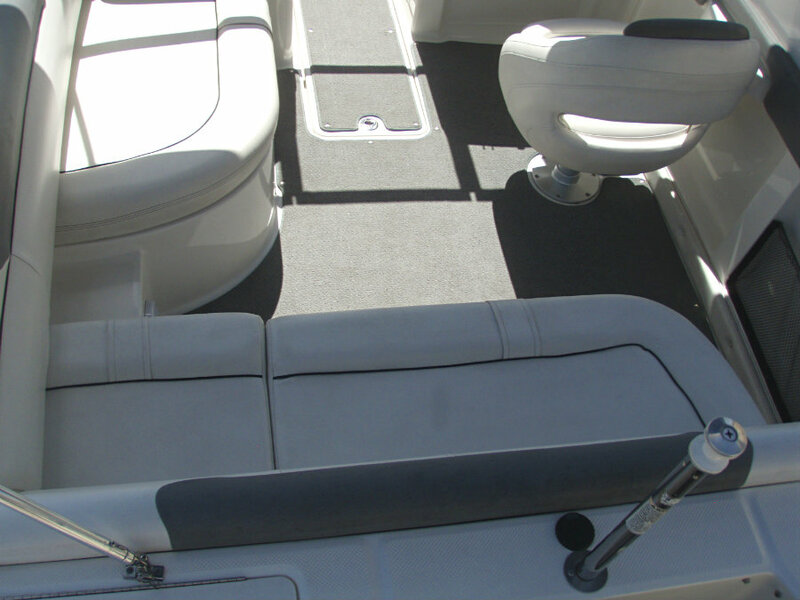 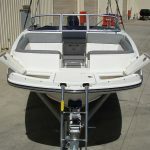 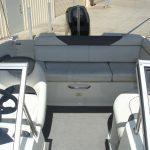 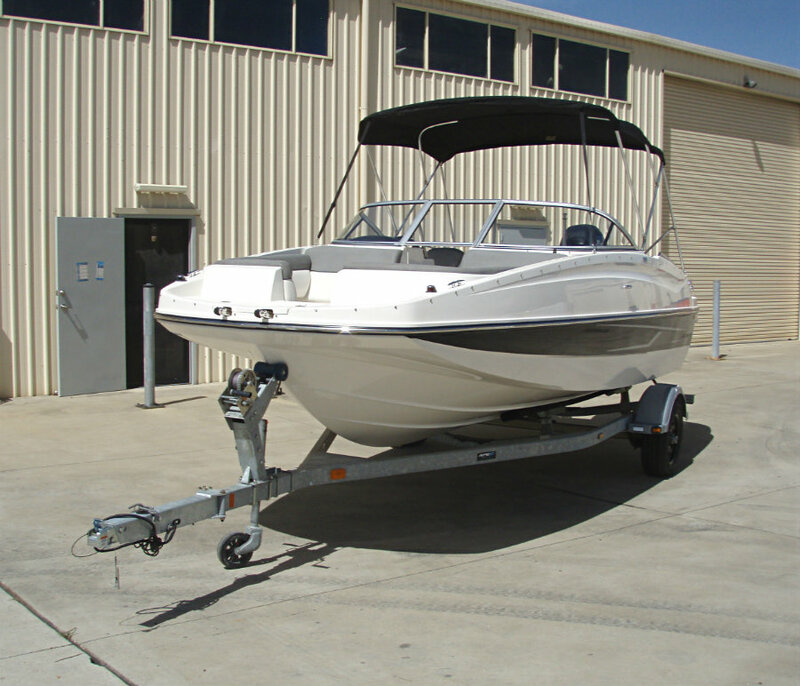 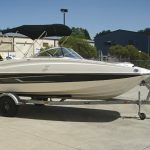 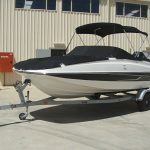 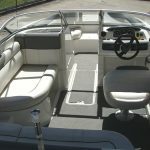 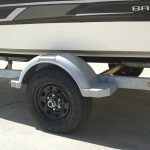 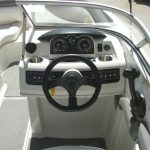 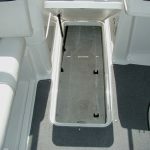 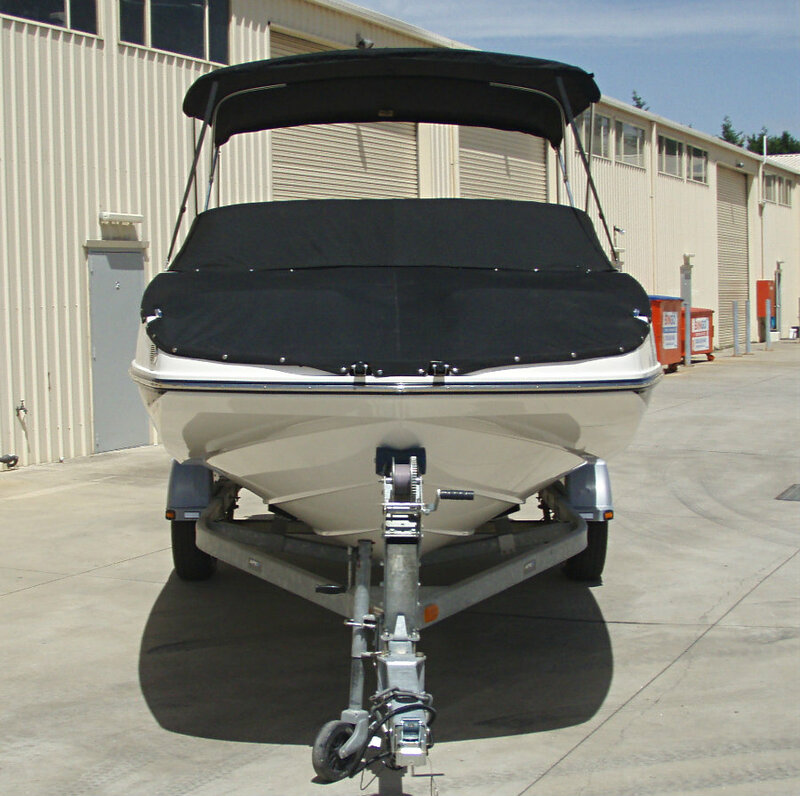 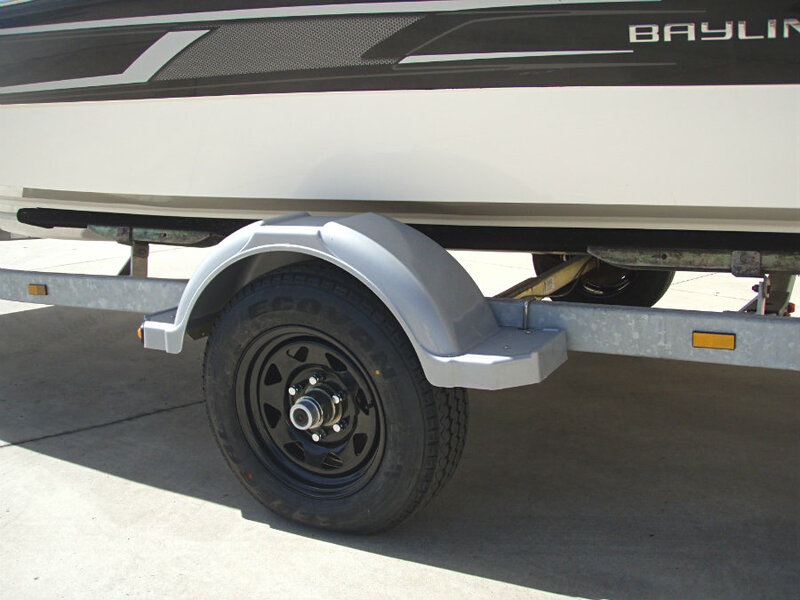 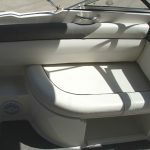 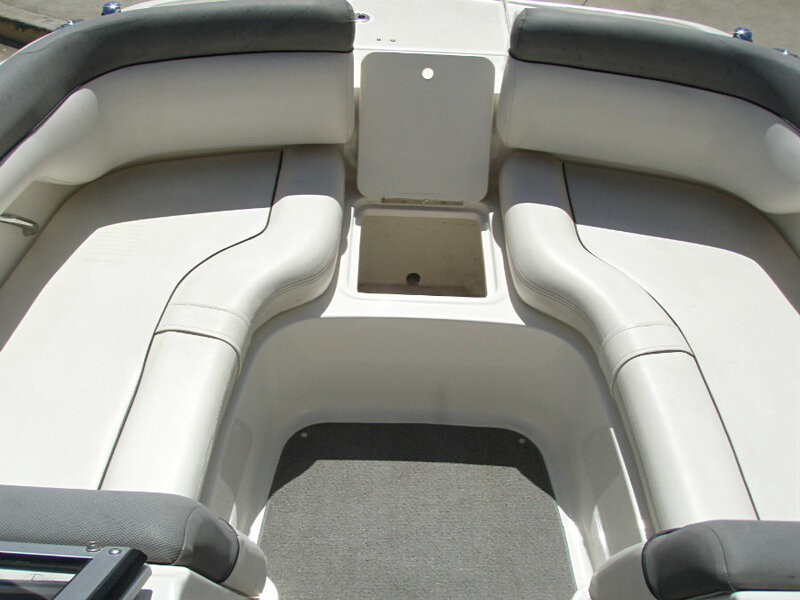 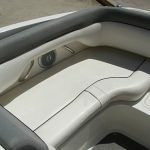 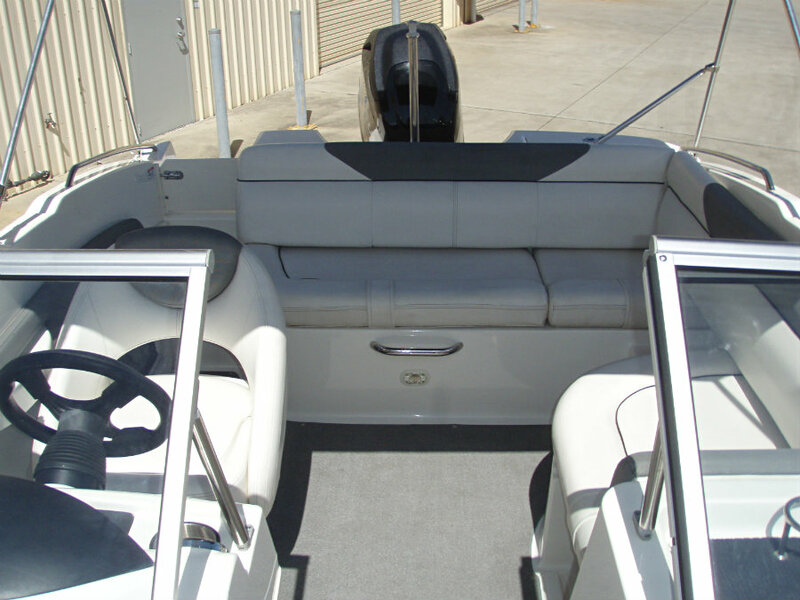 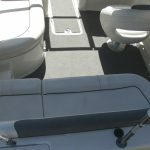 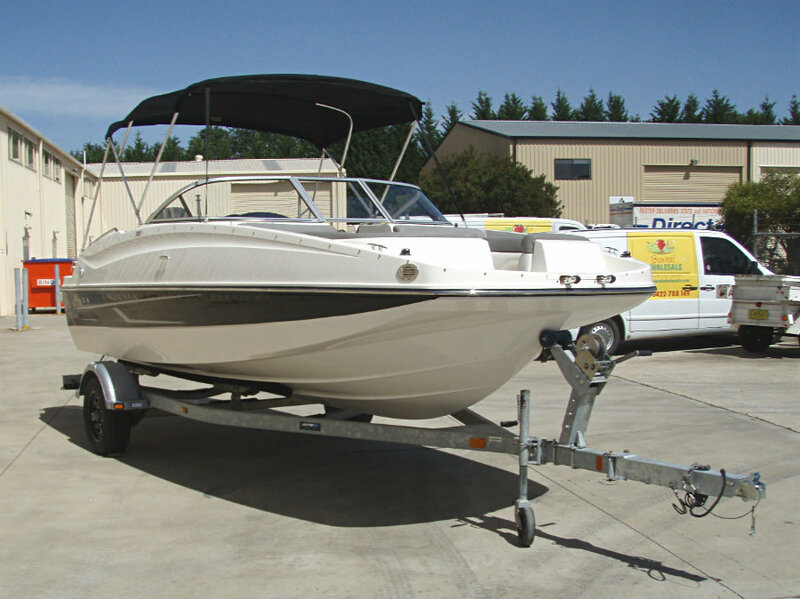 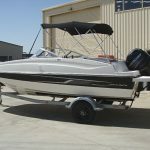 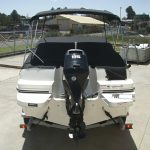 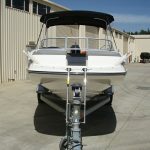 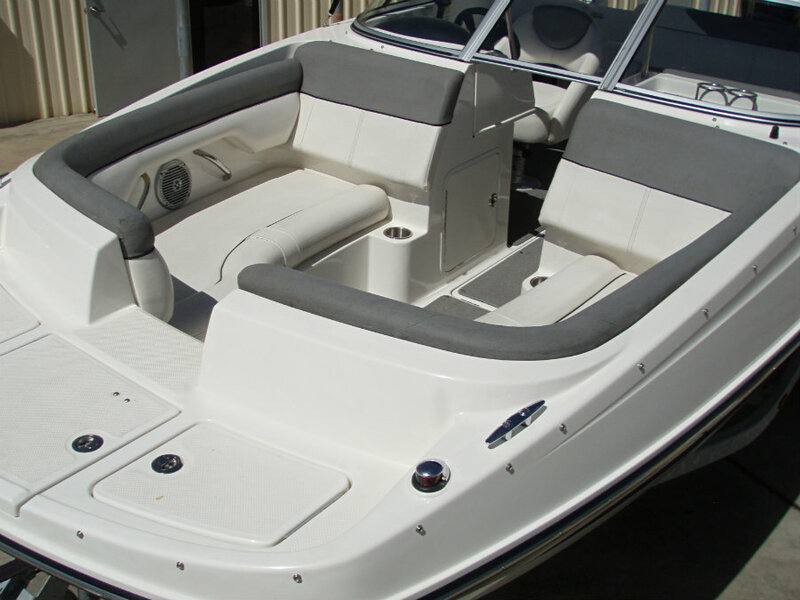 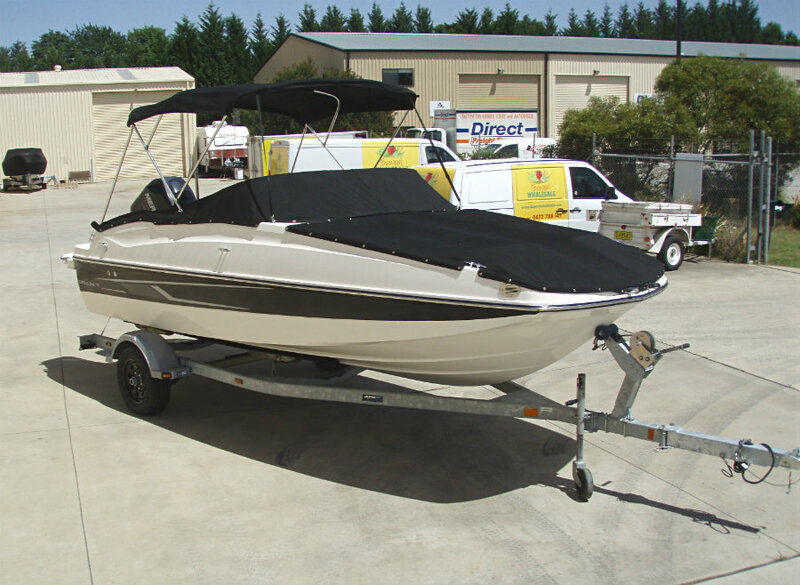 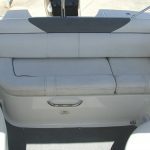 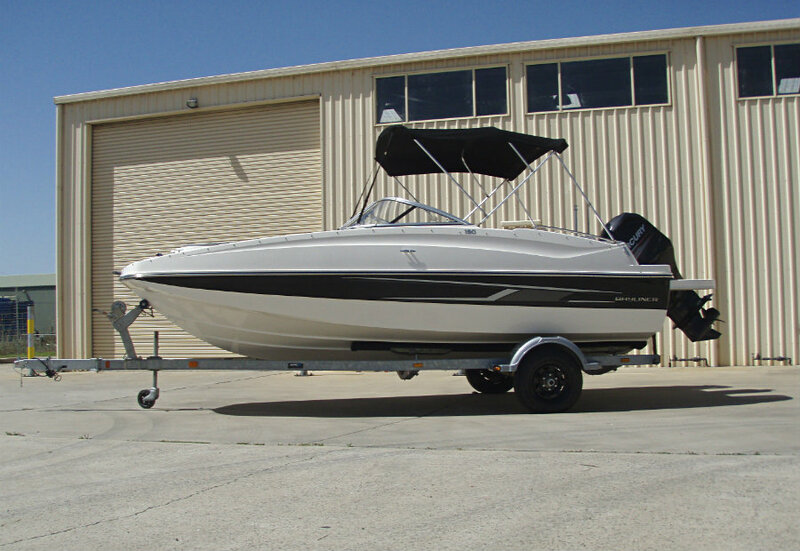 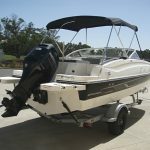 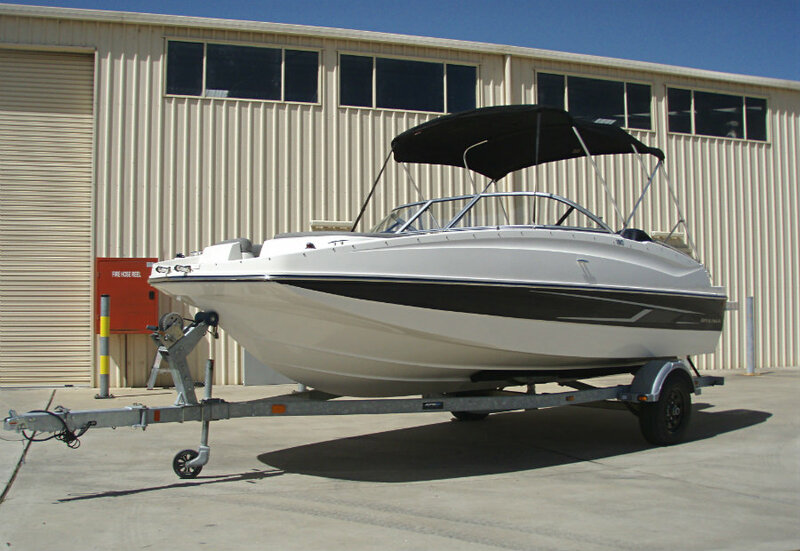 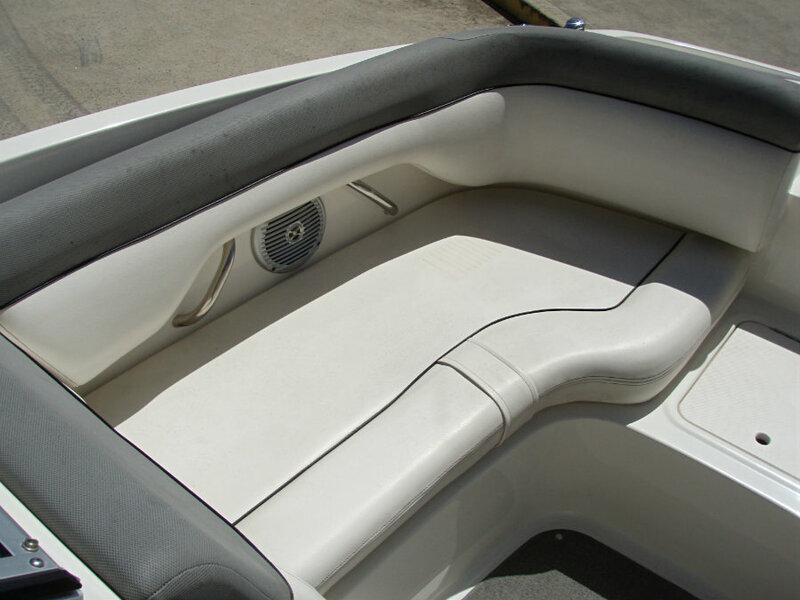 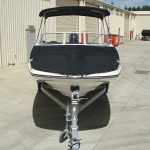 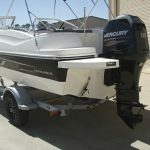 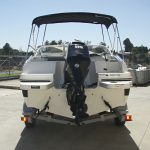 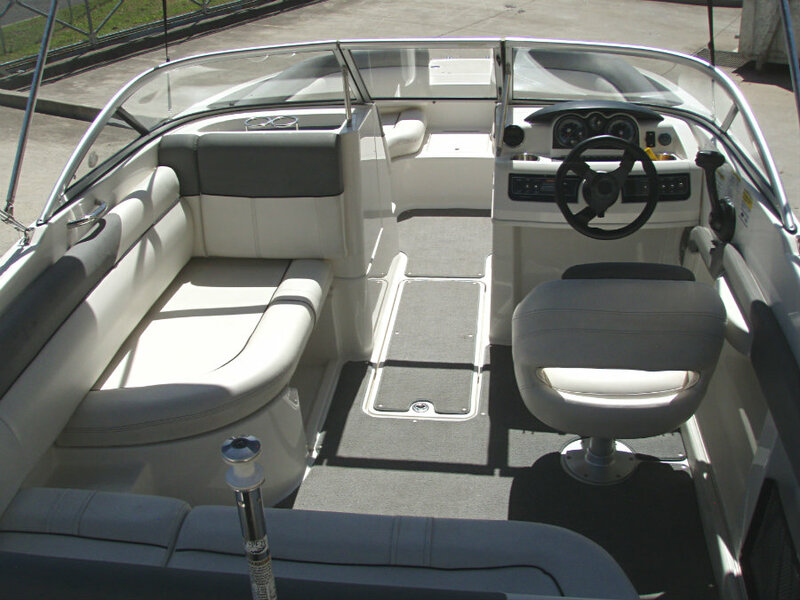 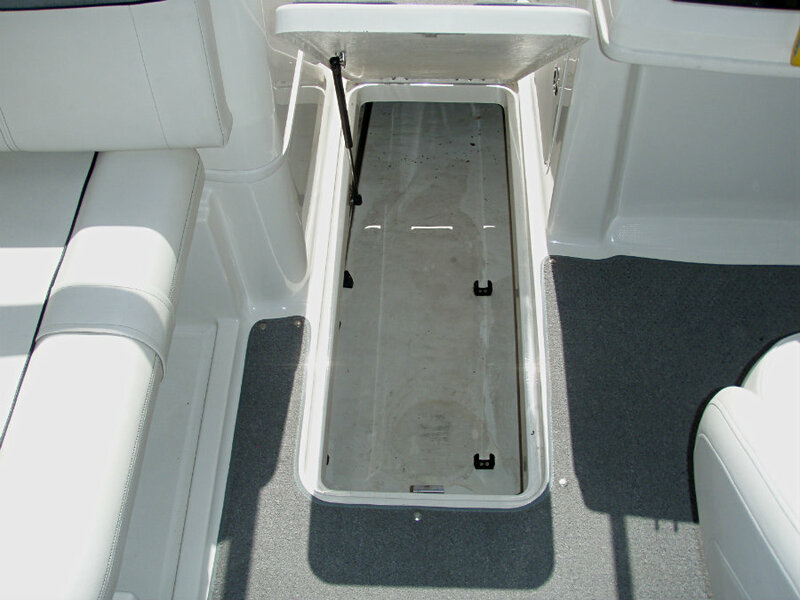 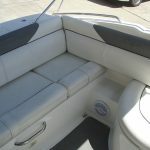 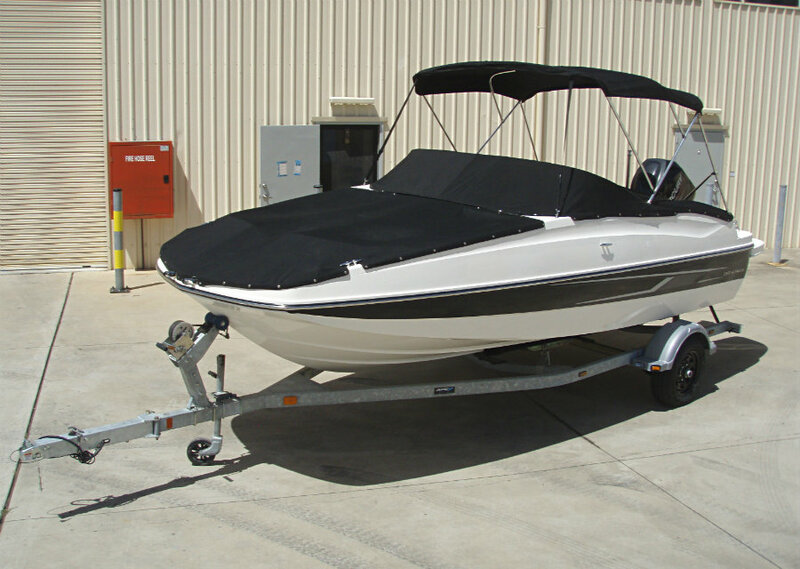 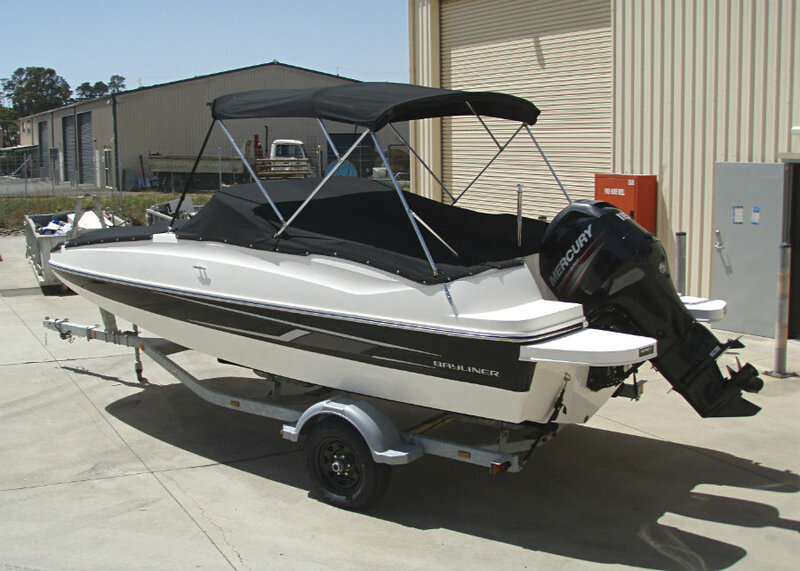 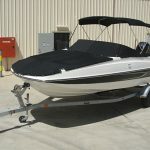 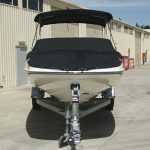 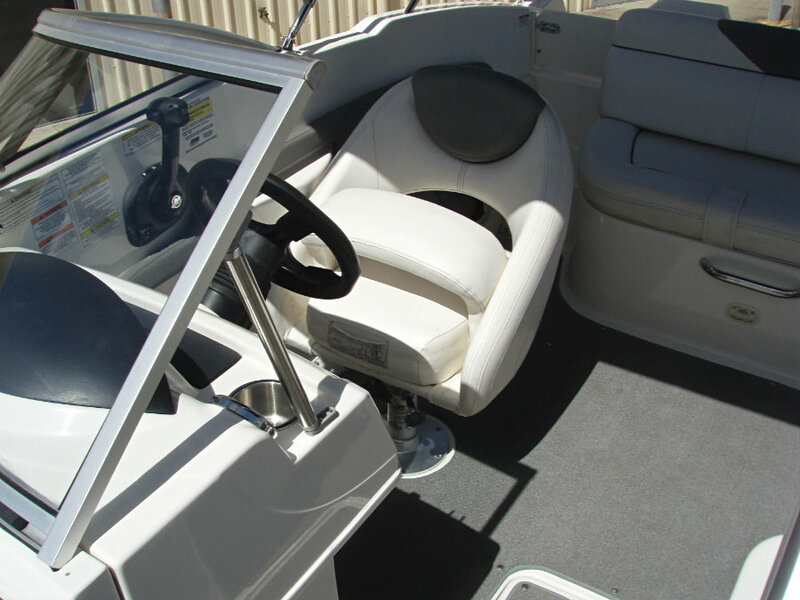 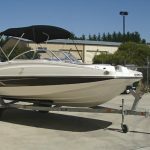 This 19′ boat is aimed at those who like a healthy amount of space while retaining the performance required for water sport activities like skiing or towing tubes. 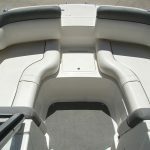 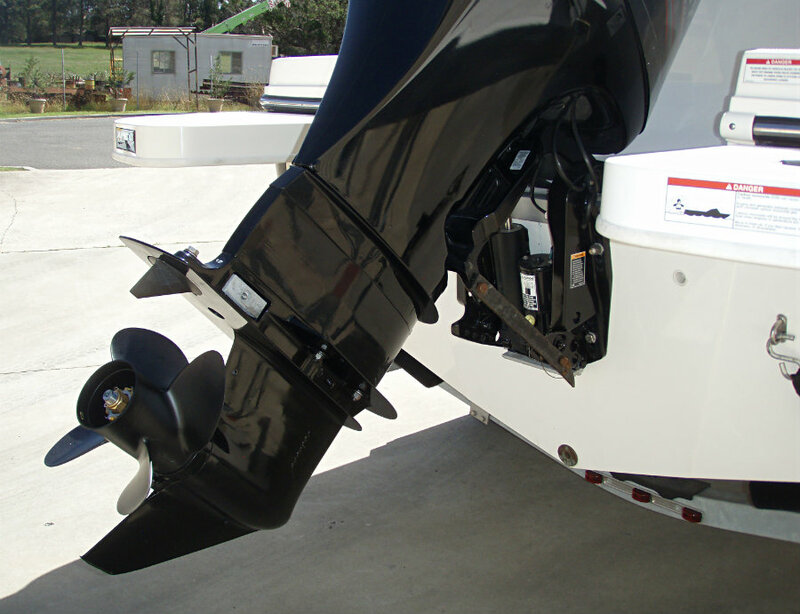 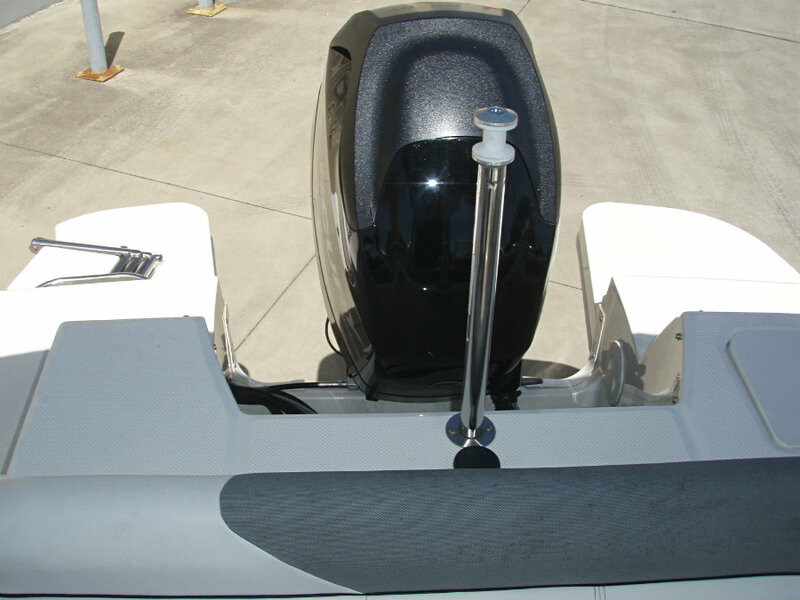 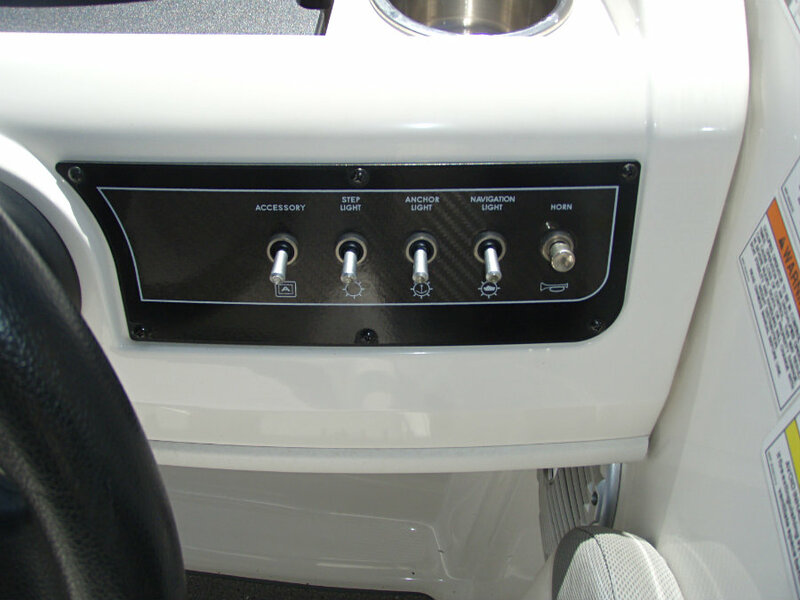 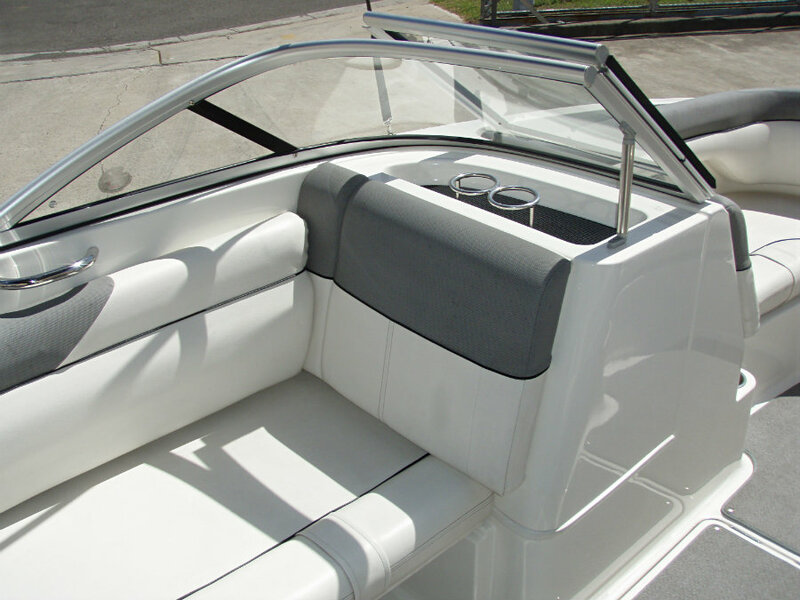 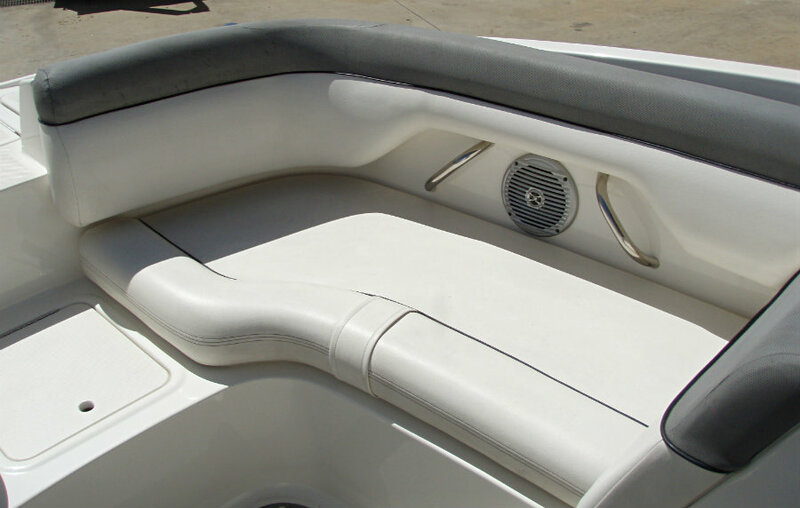 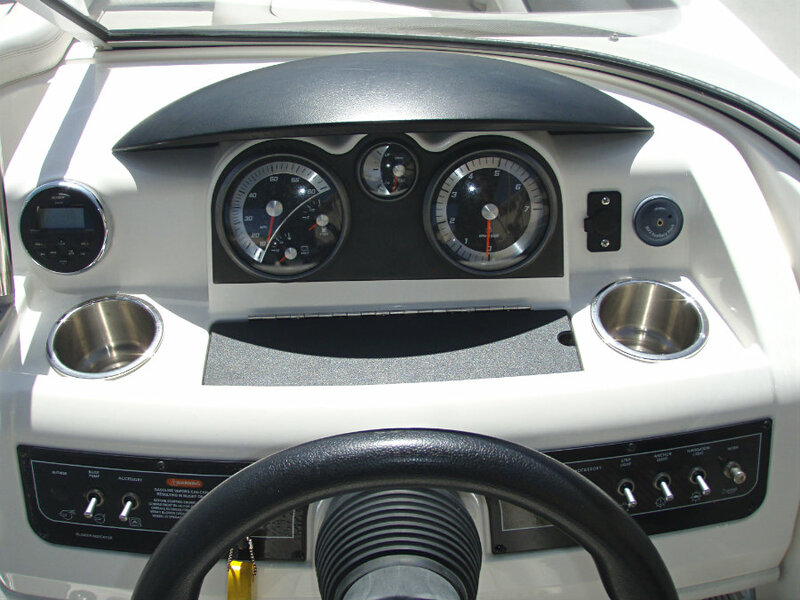 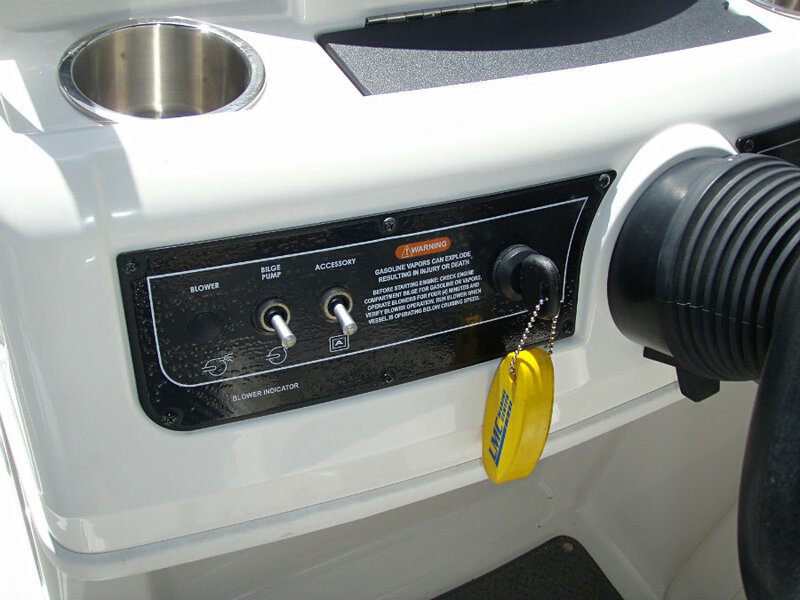 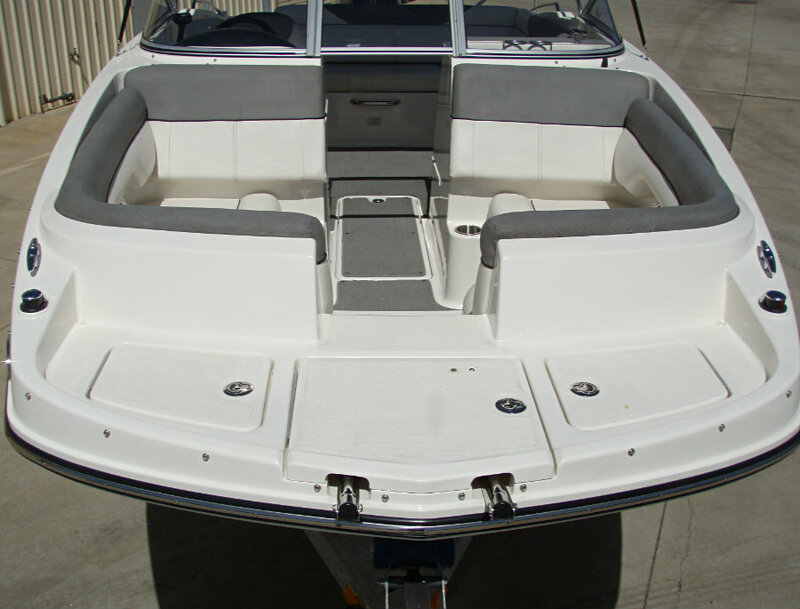 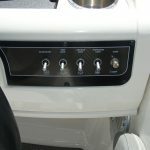 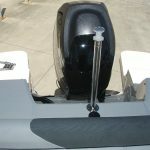 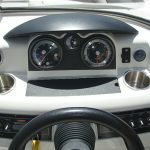 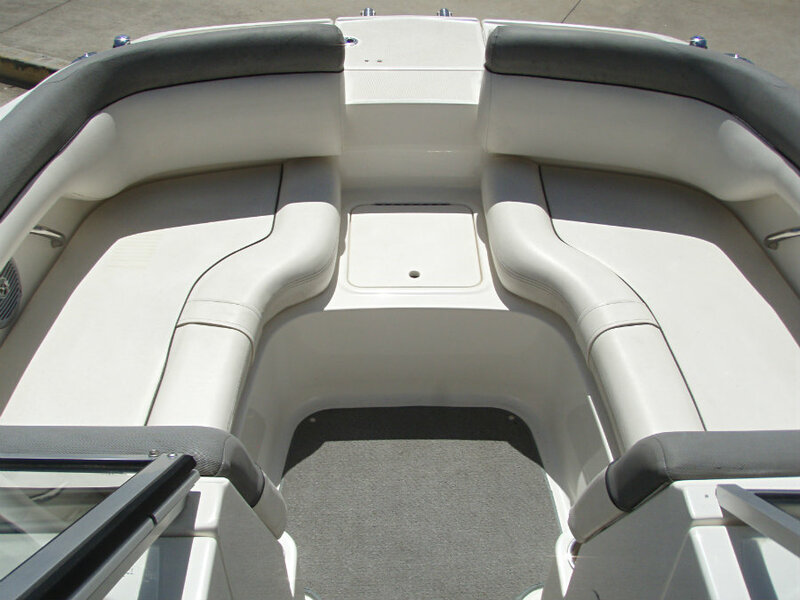 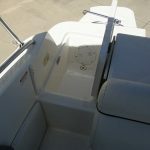 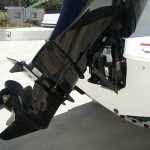 Anyone stepping up from a smaller boat will feel at ease due to the engineering of this hull and it’s ability to feel completely in control at all times. 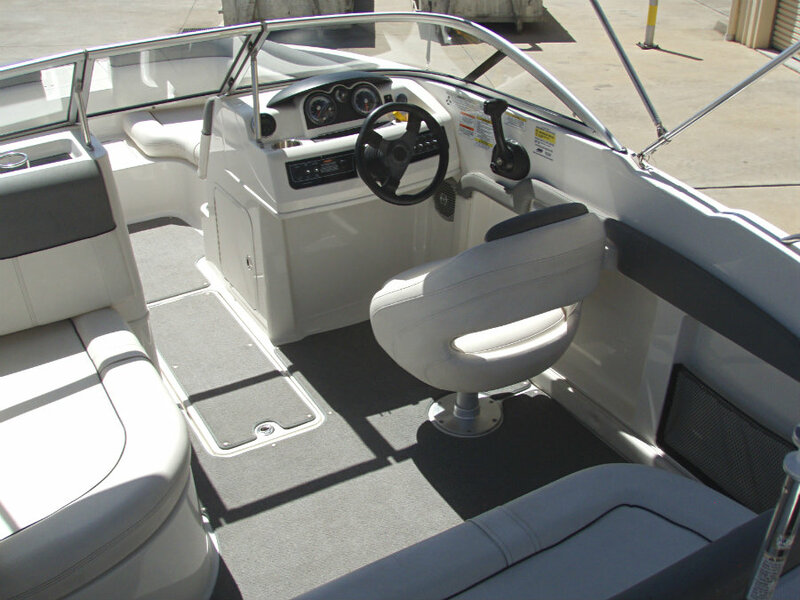 You will be surprised by the superb ride offered and the plethora of storage space available by this model design. 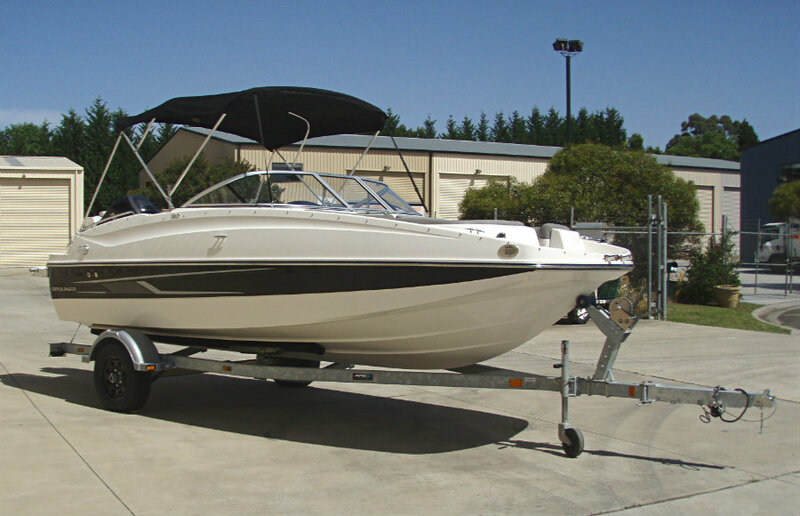 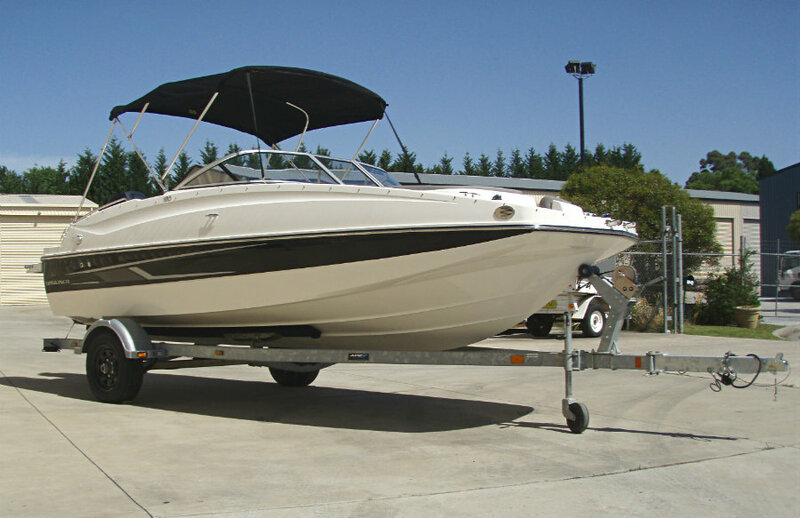 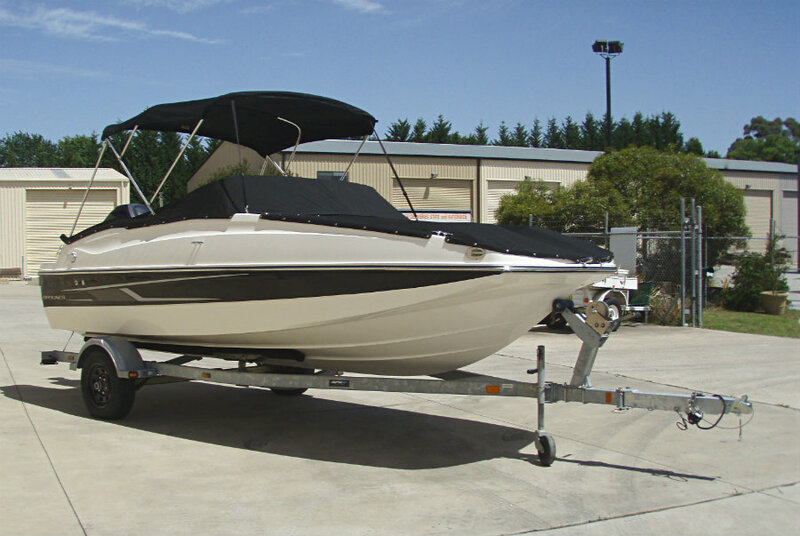 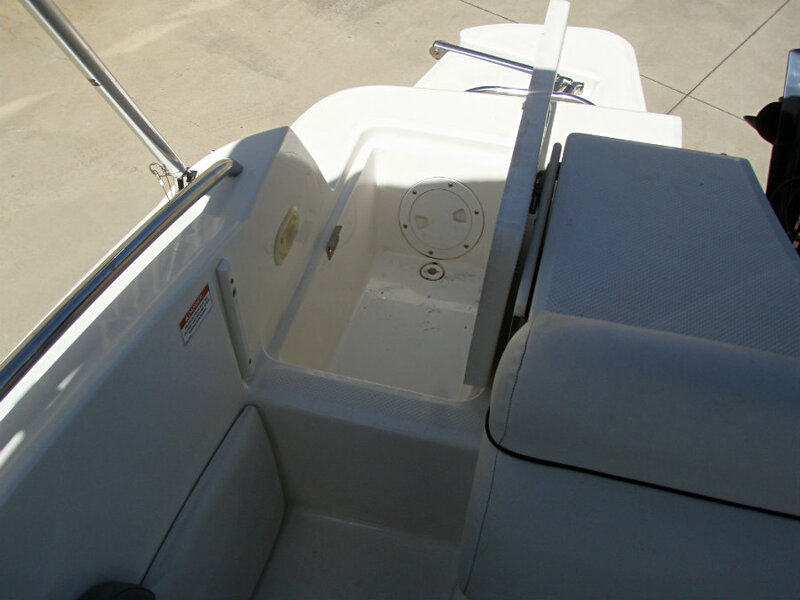 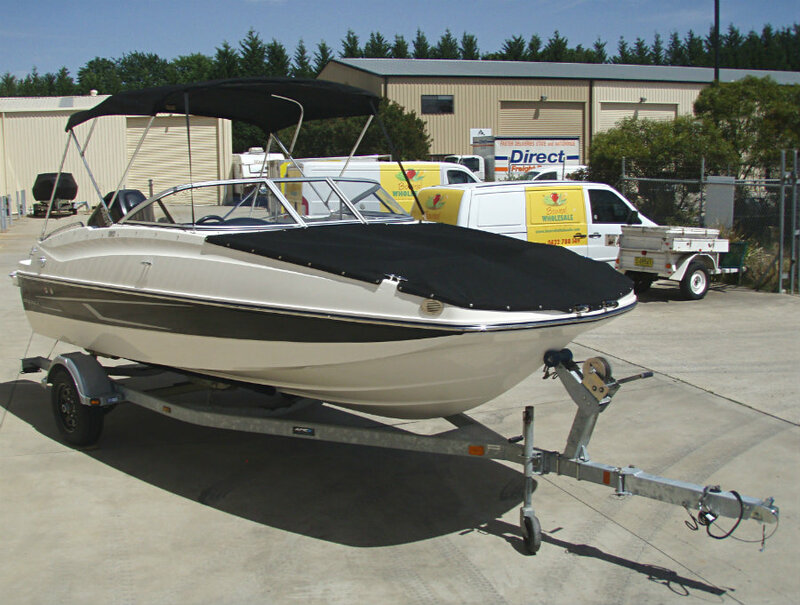 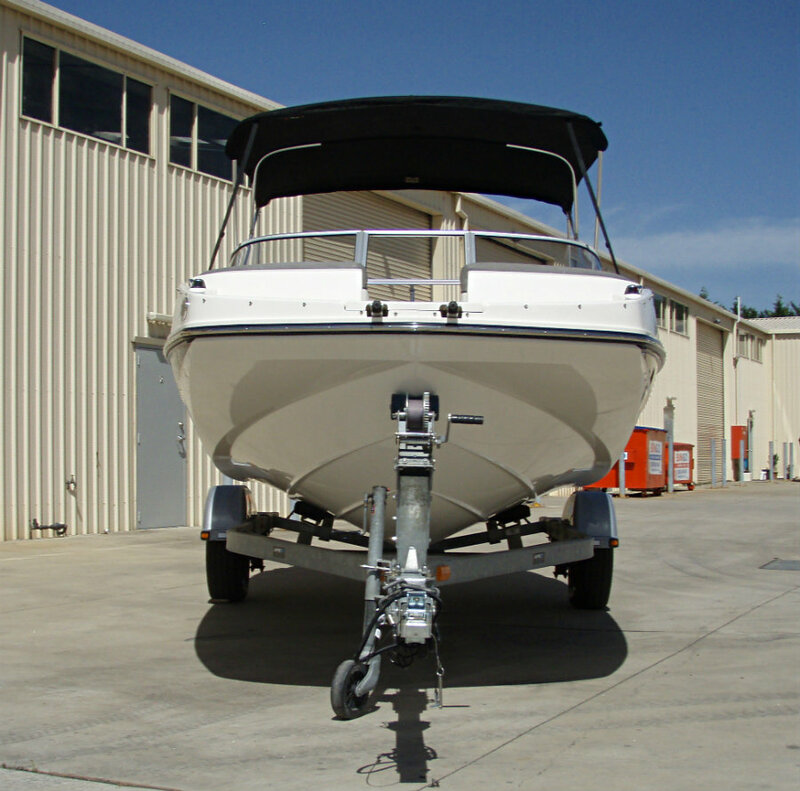 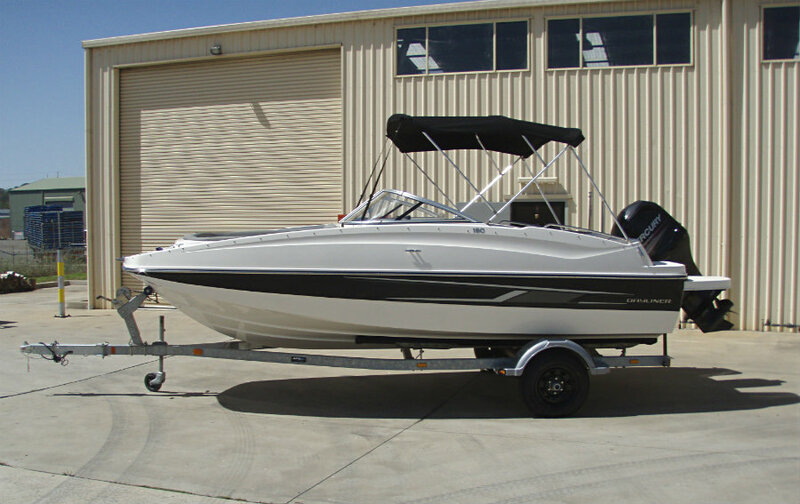 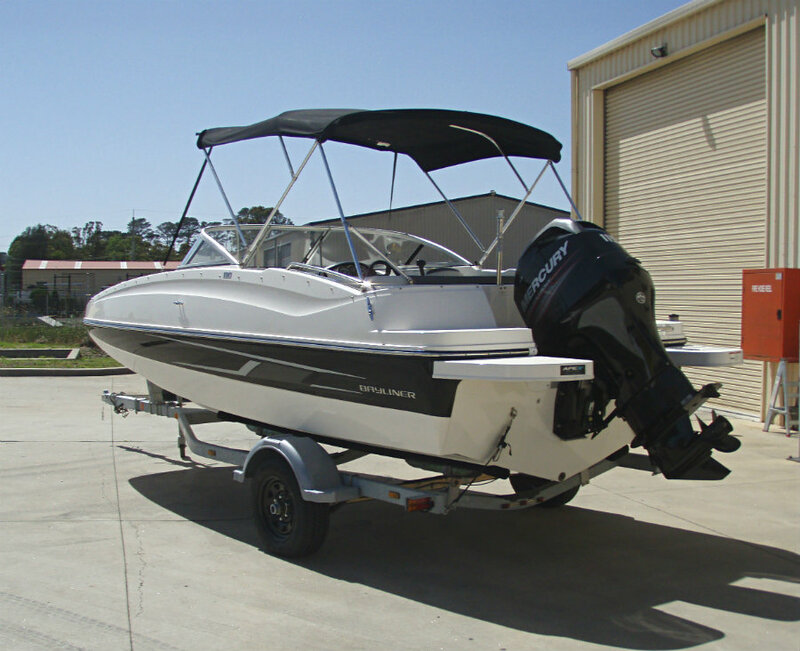 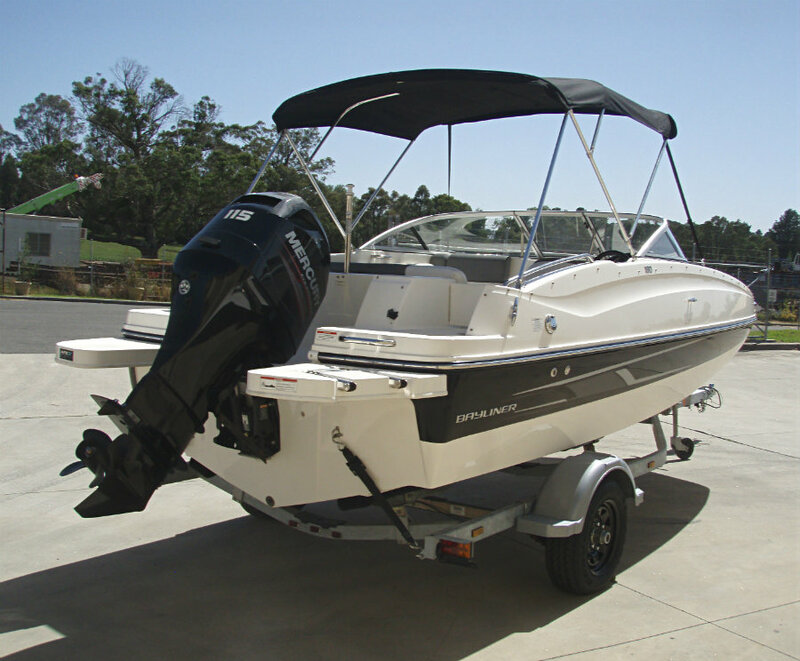 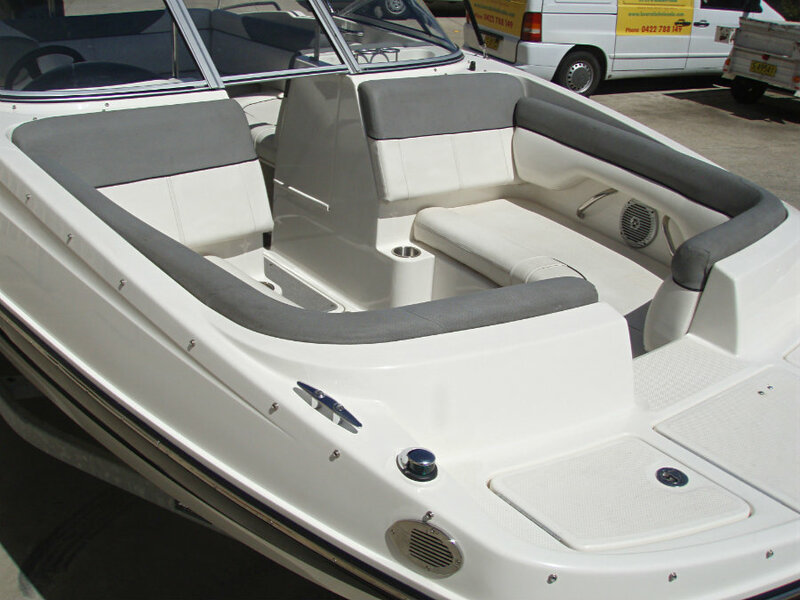 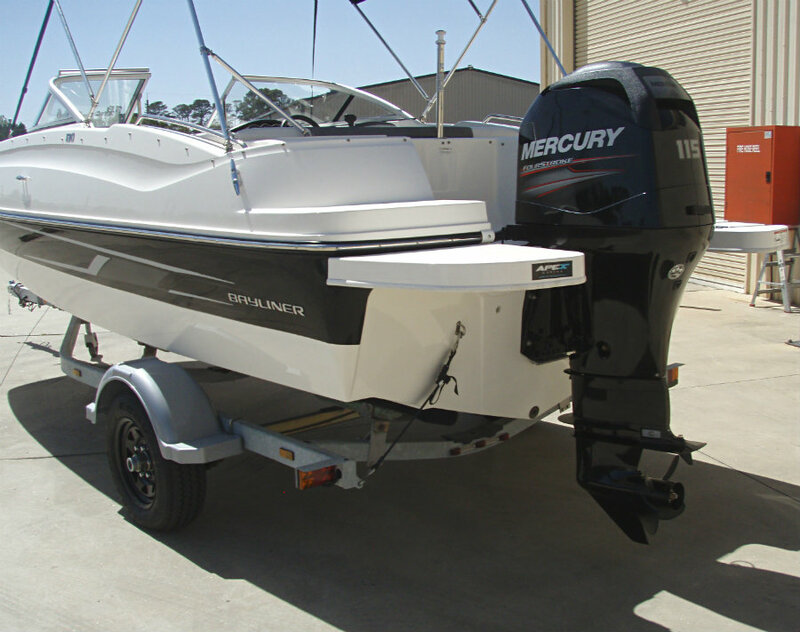 This is an awesome ‘one-owner’ and ‘freshwater only’ vessel that is in very good condition.